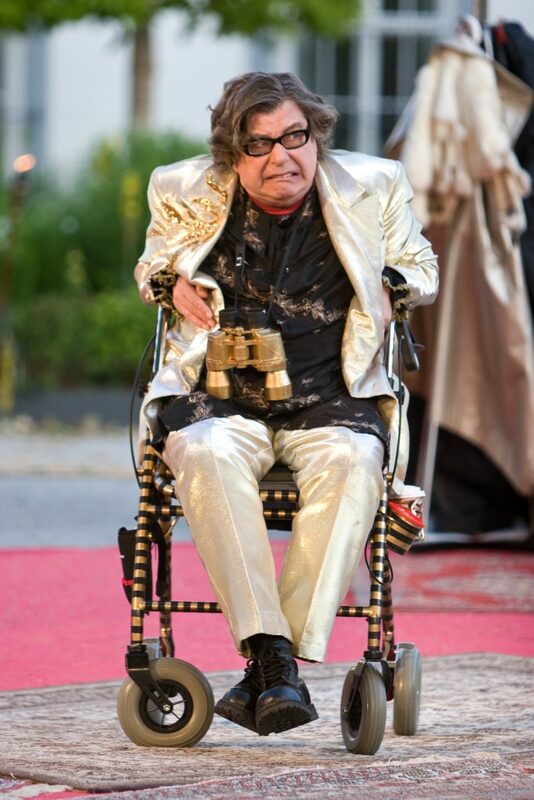 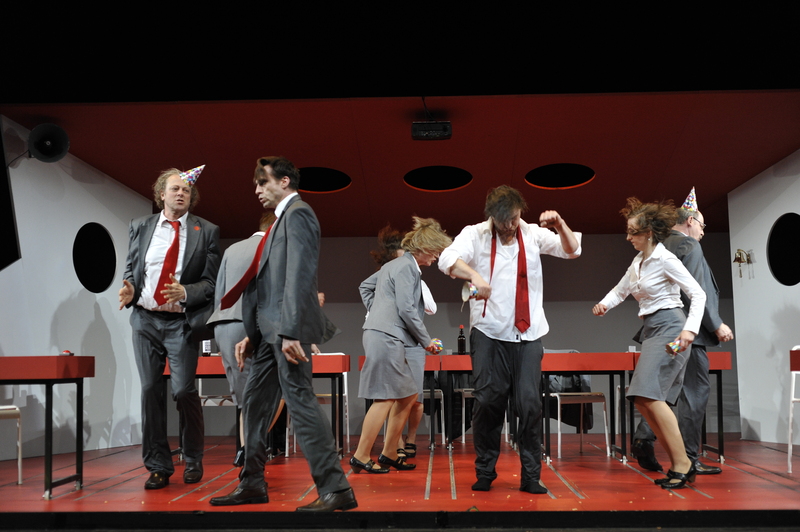 The Badische Neueste Nachrichten headline reads “This really takes it out of ya“. 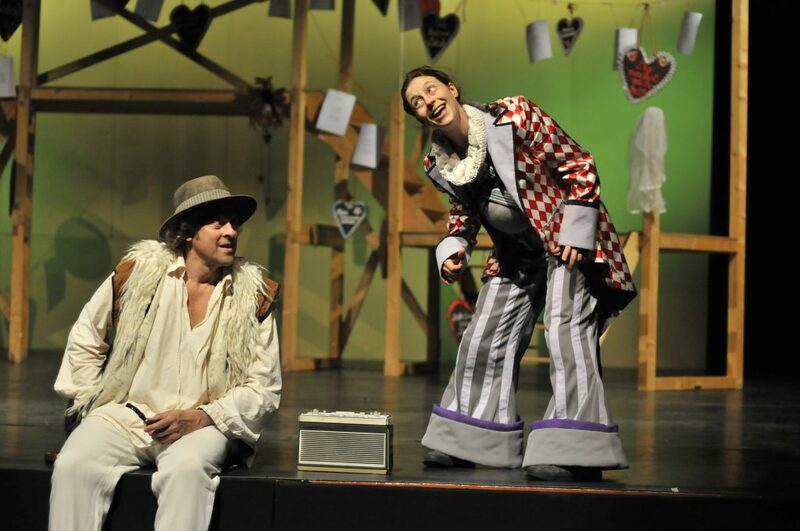 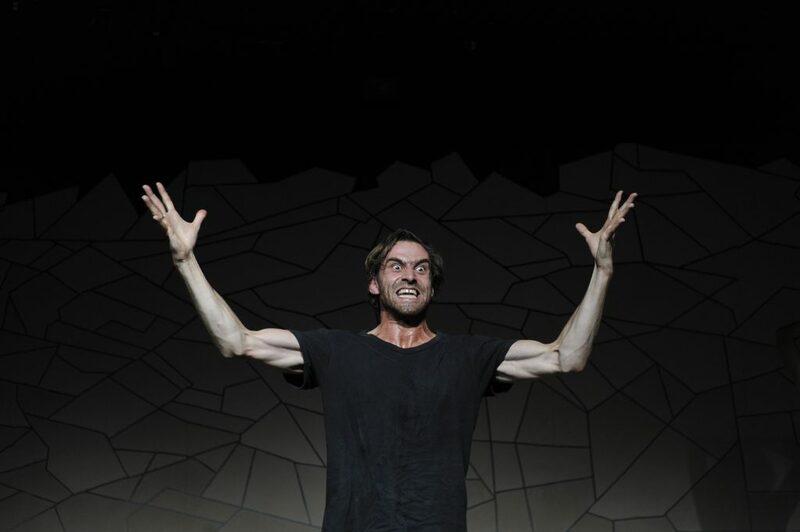 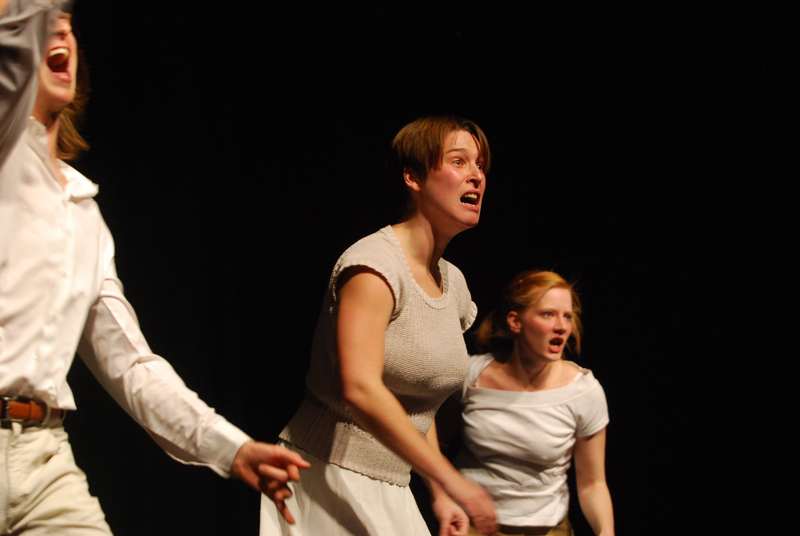 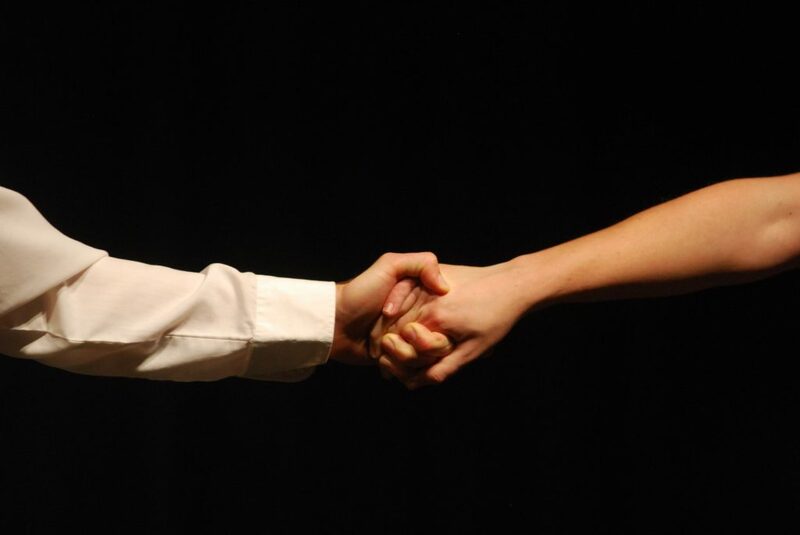 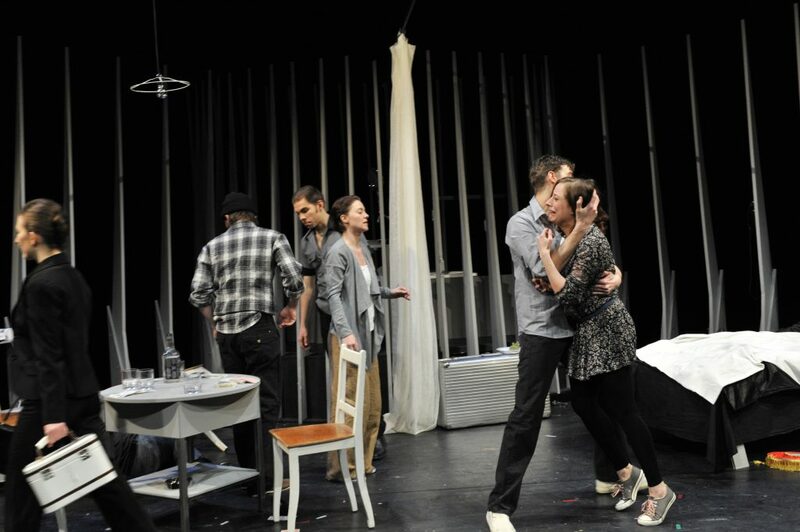 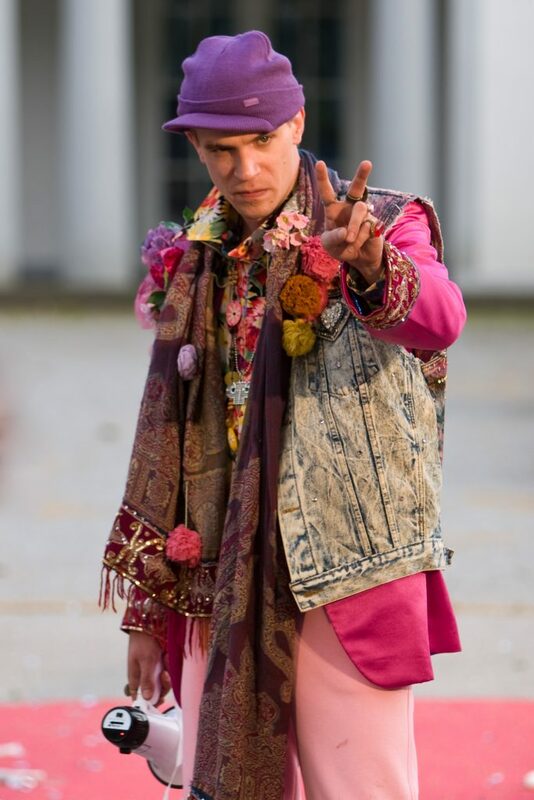 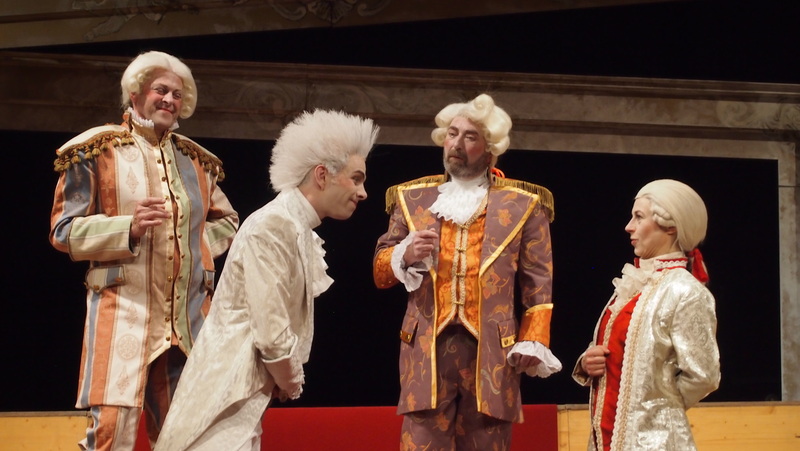 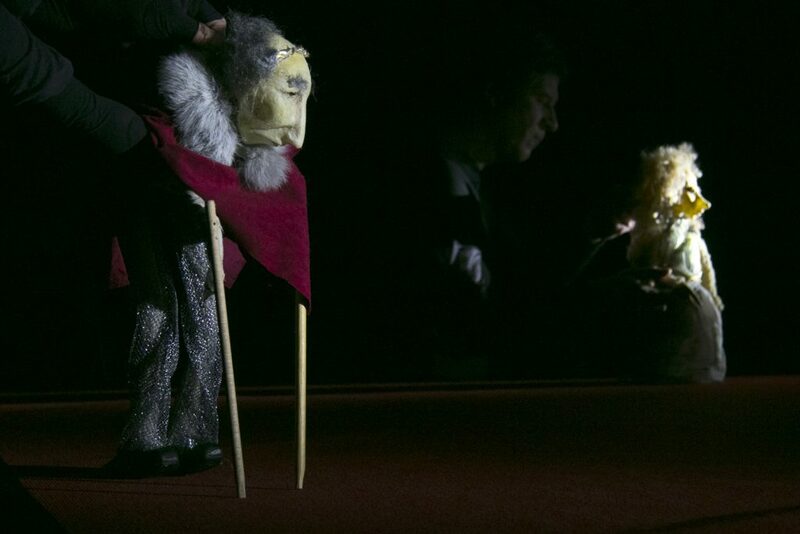 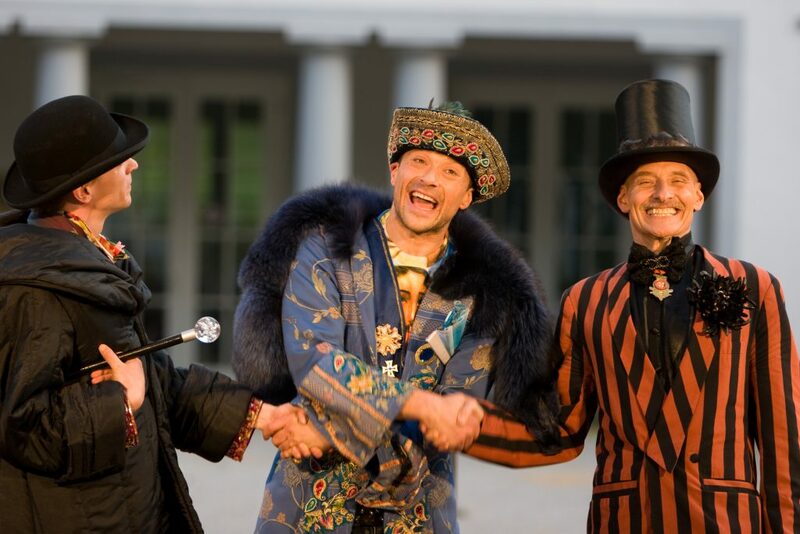 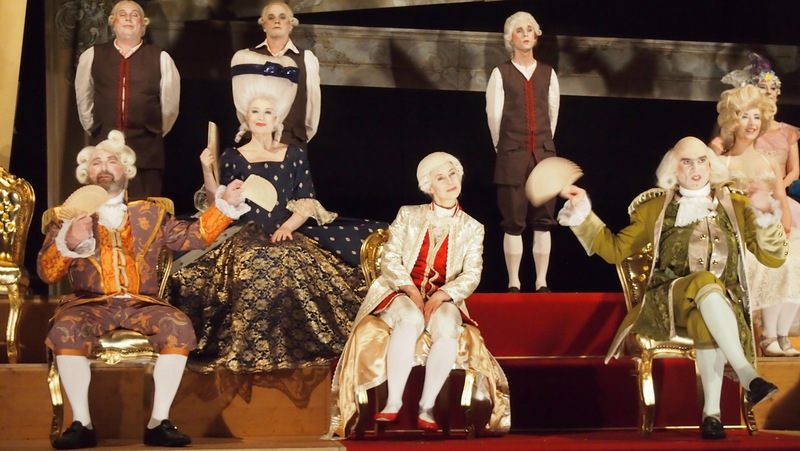 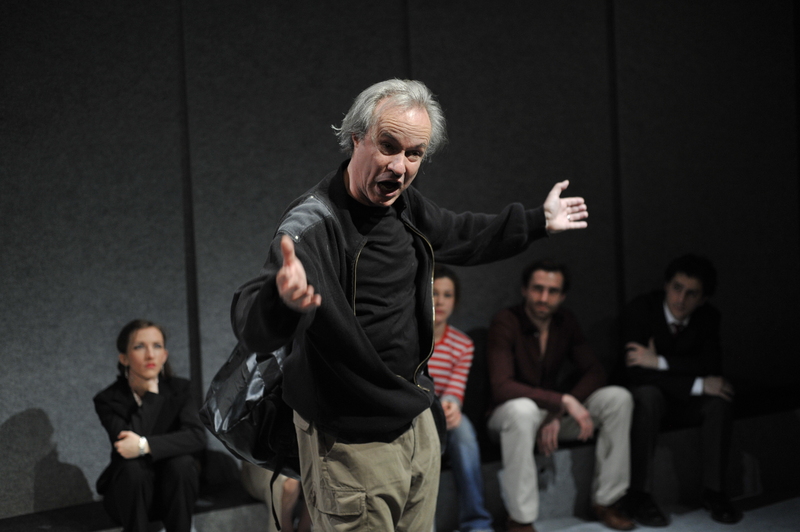 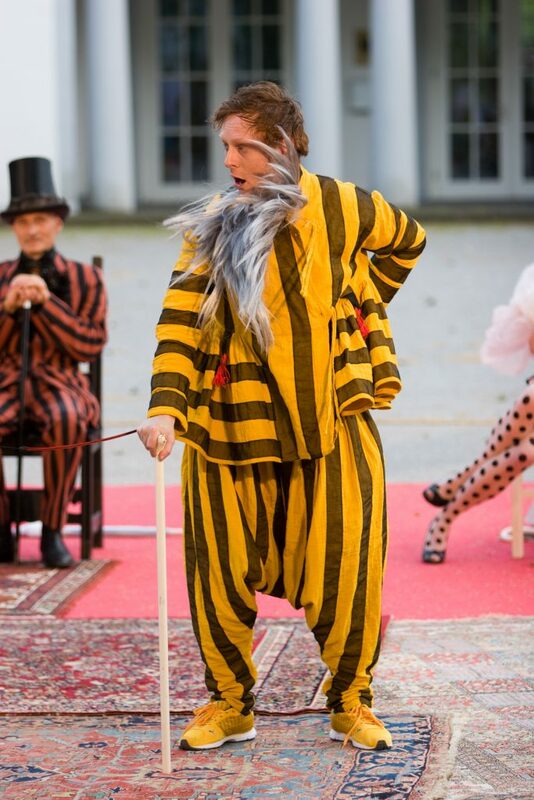 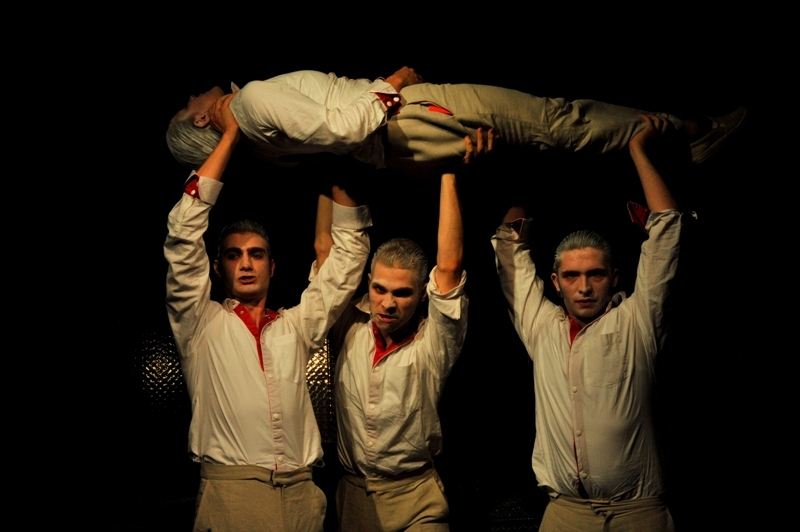 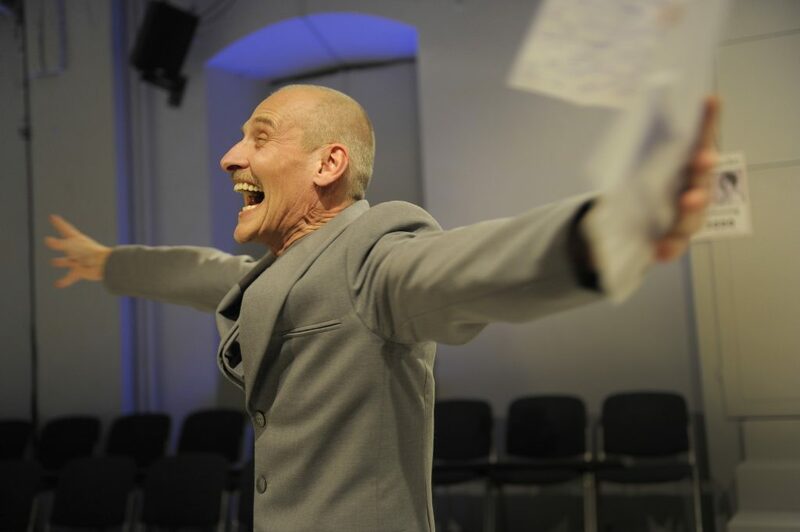 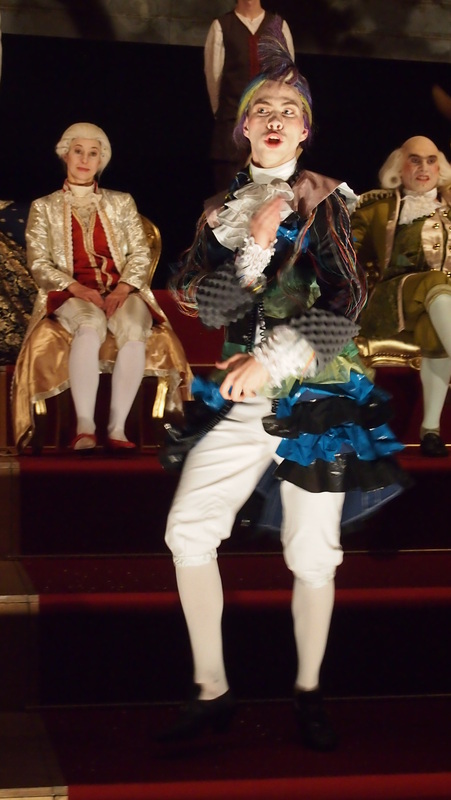 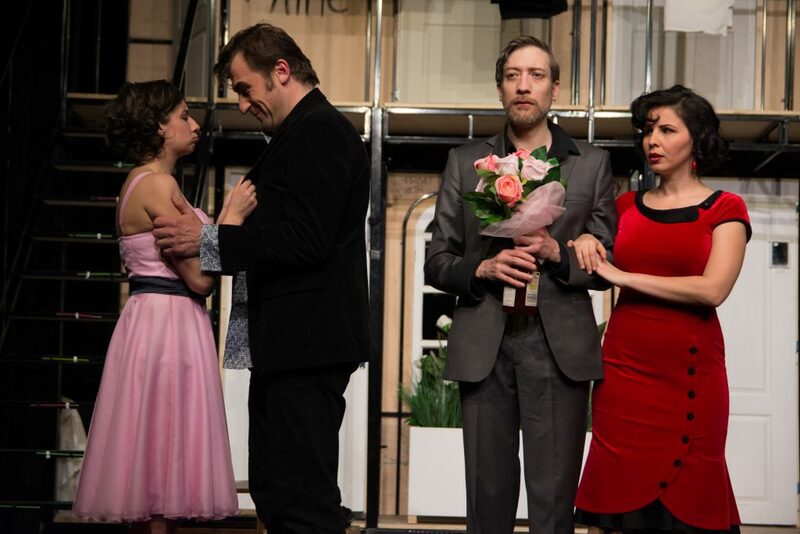 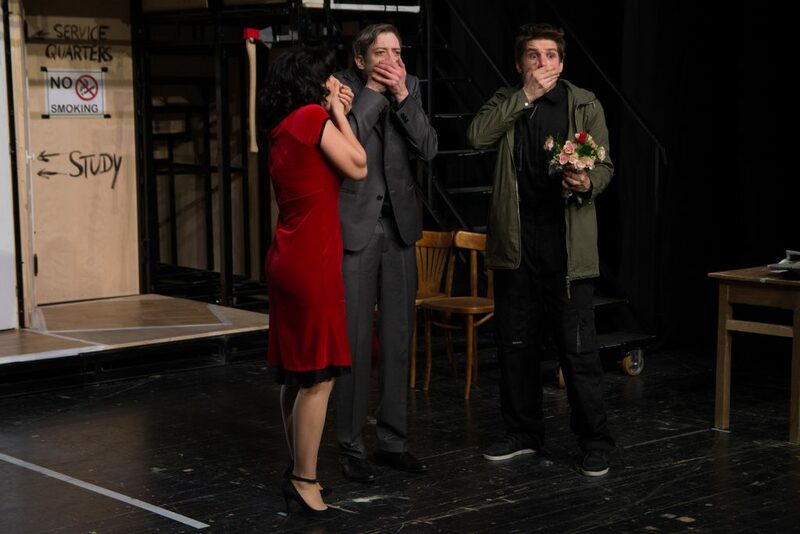 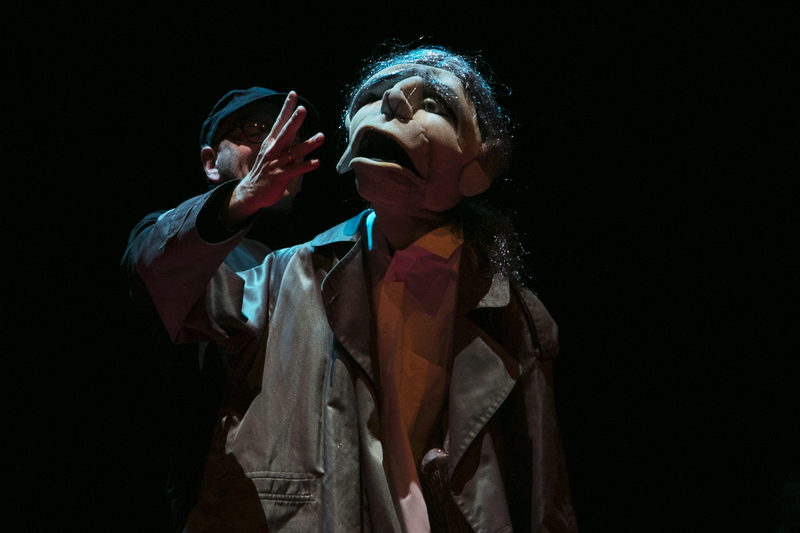 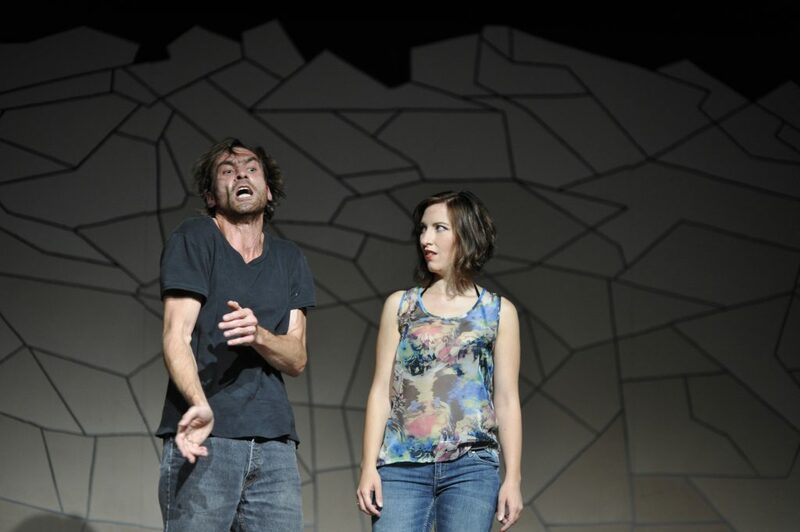 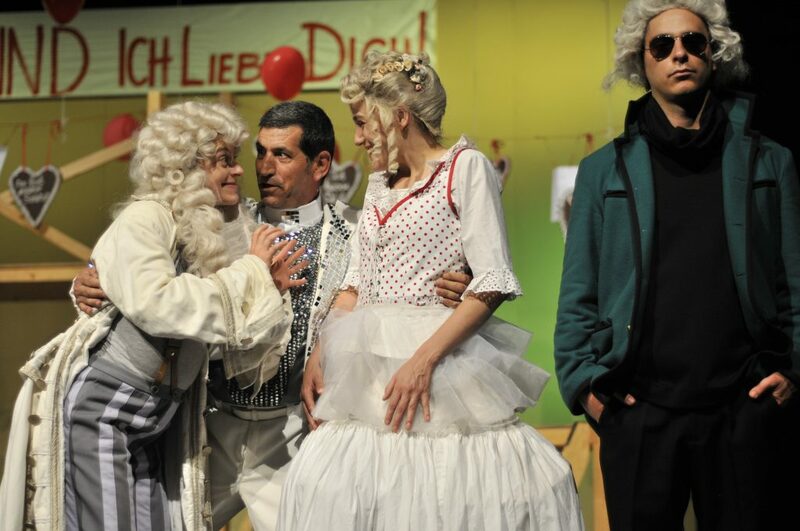 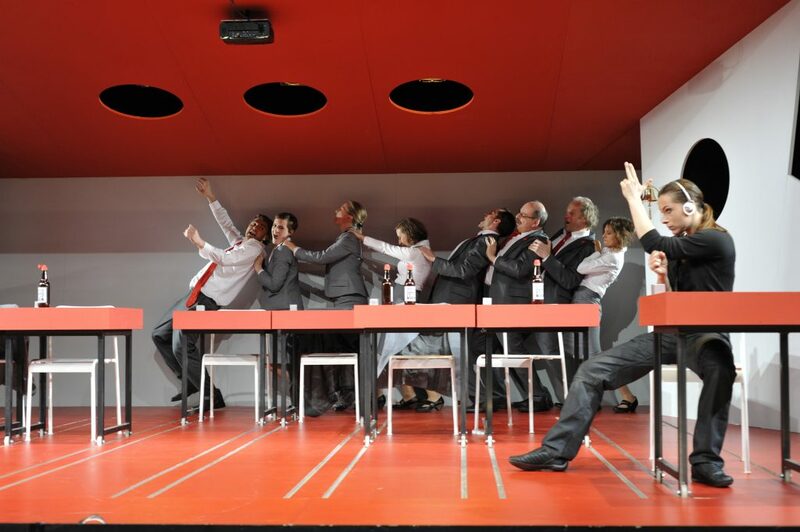 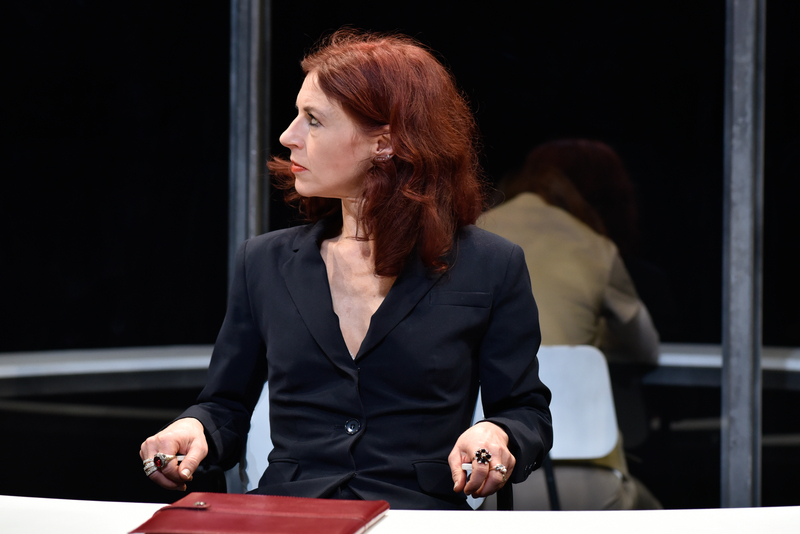 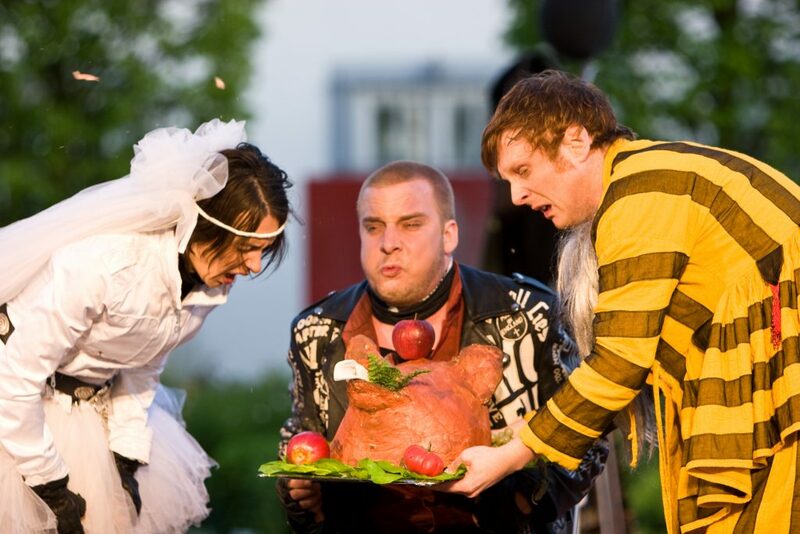 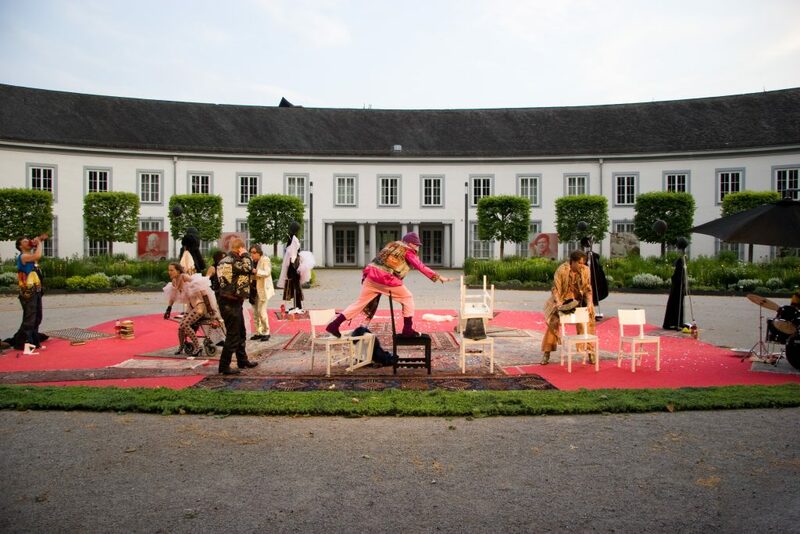 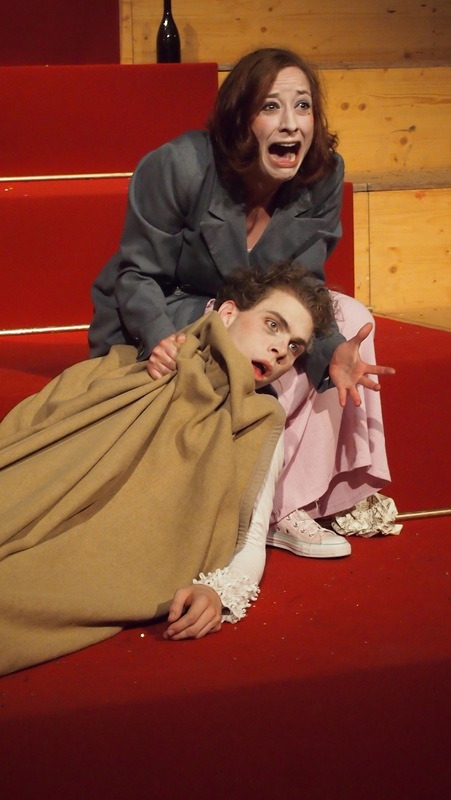 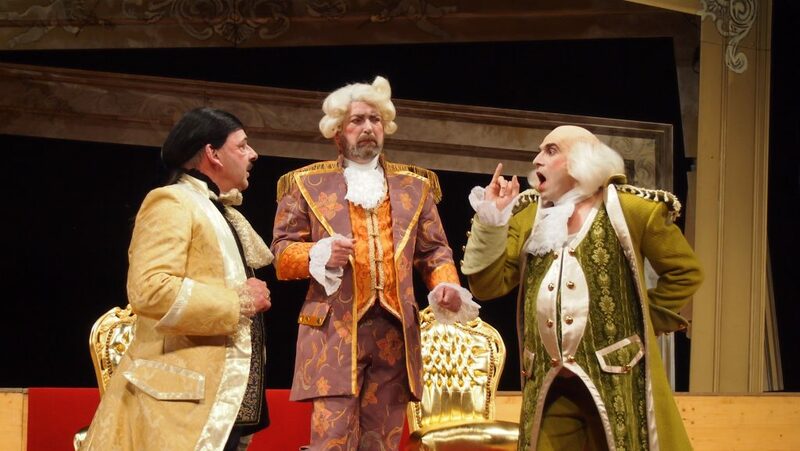 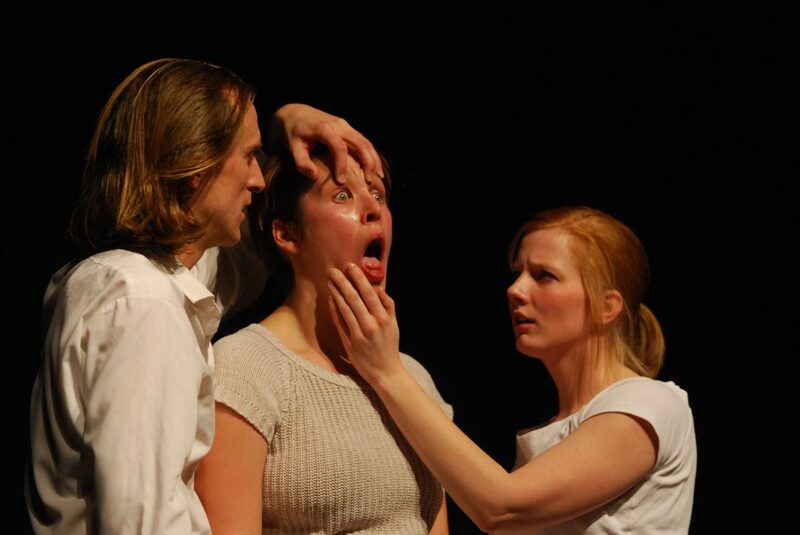 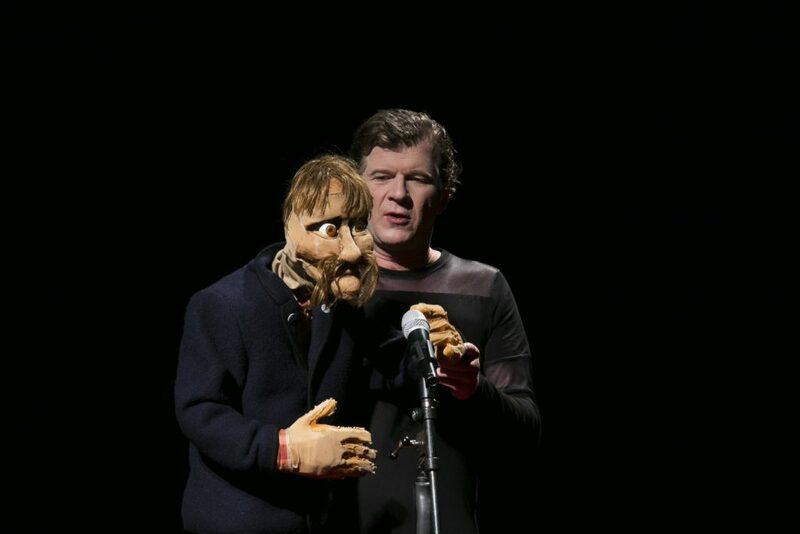 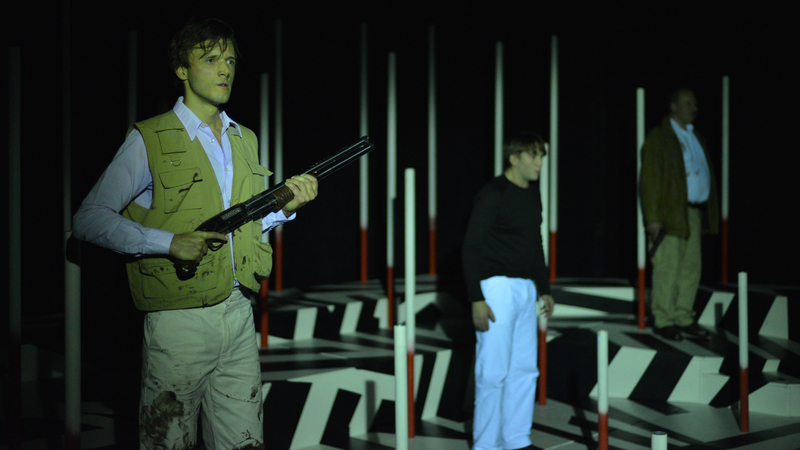 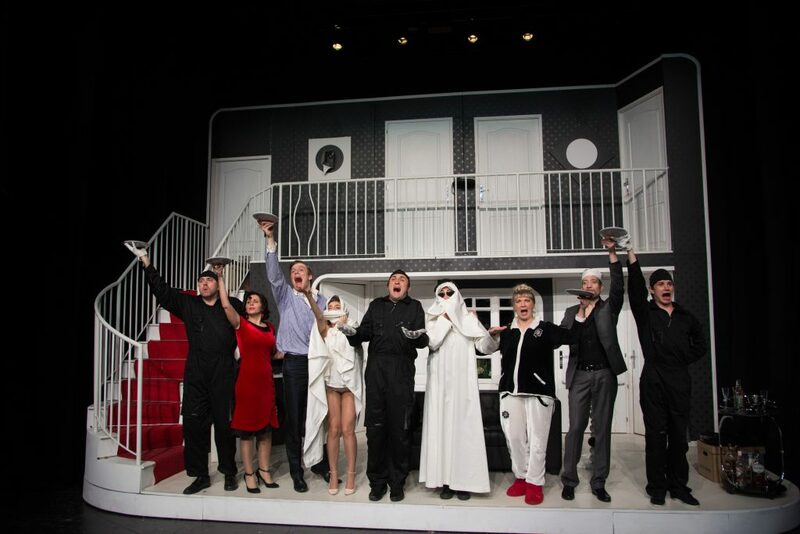 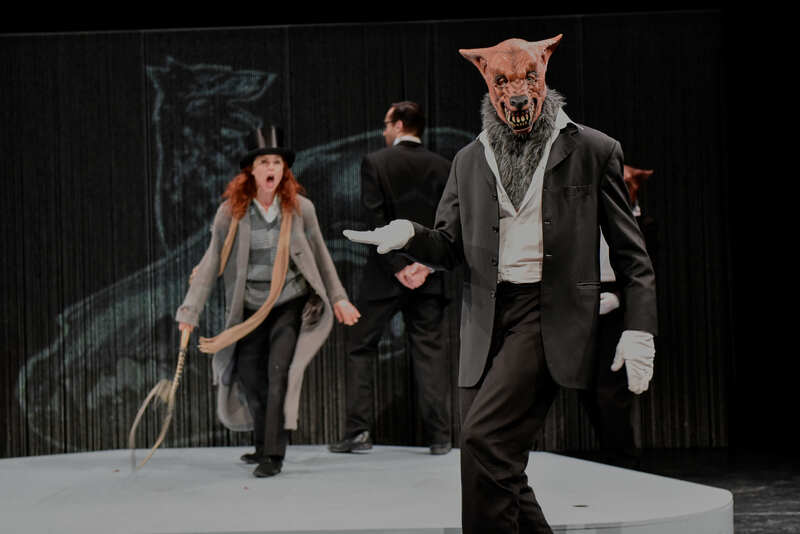 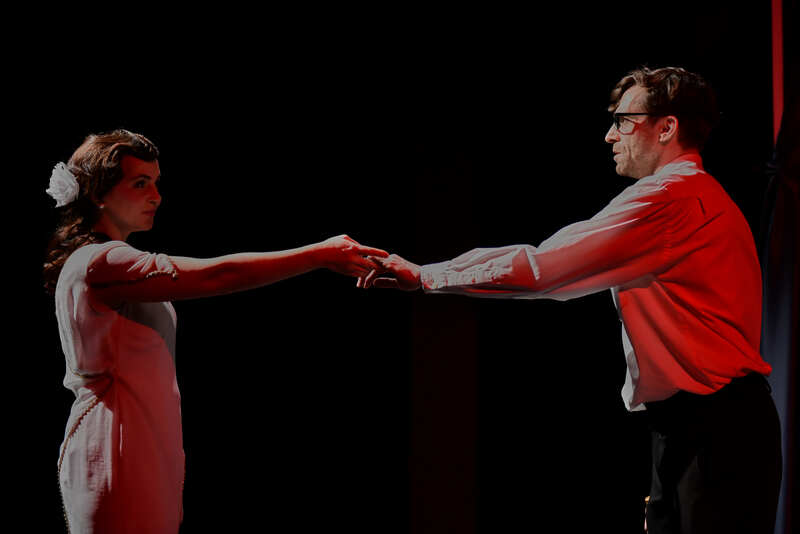 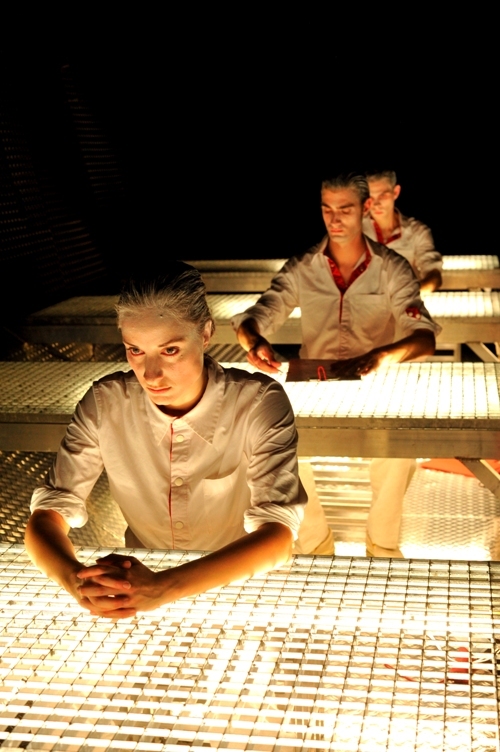 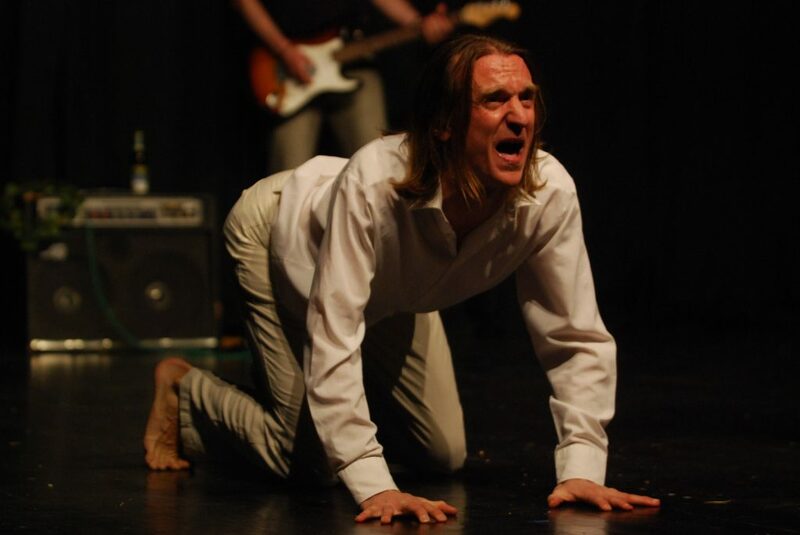 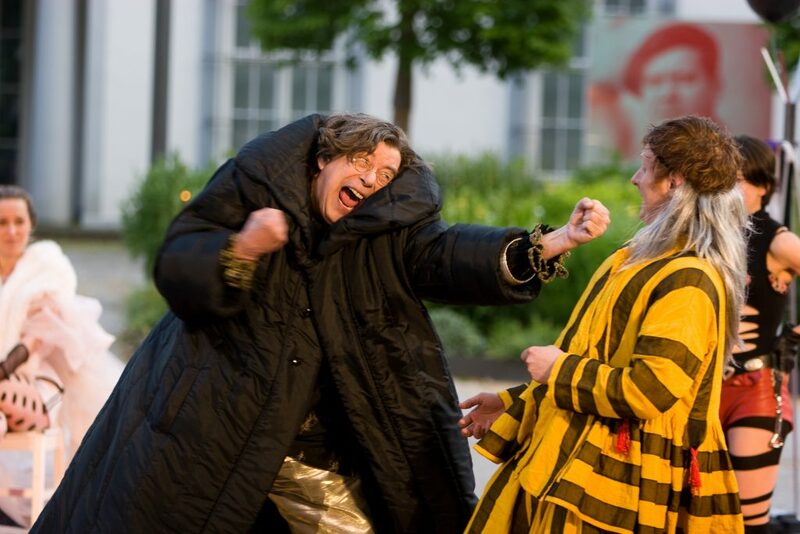 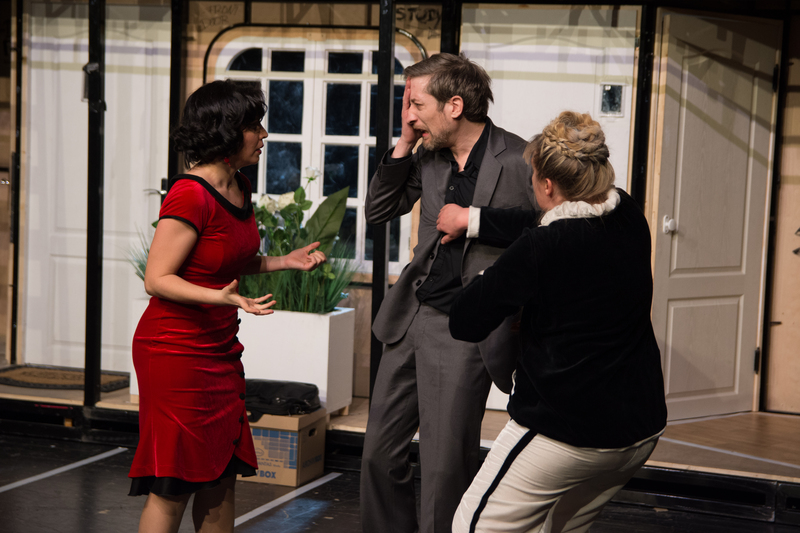 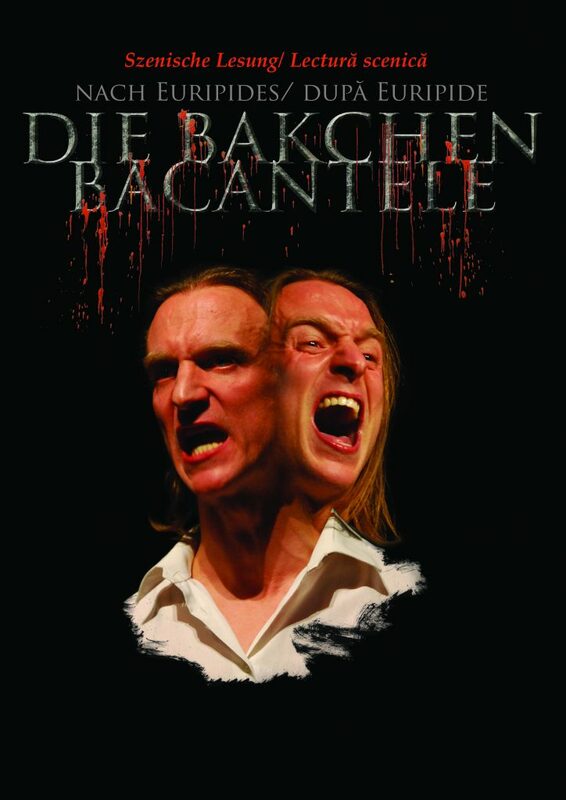 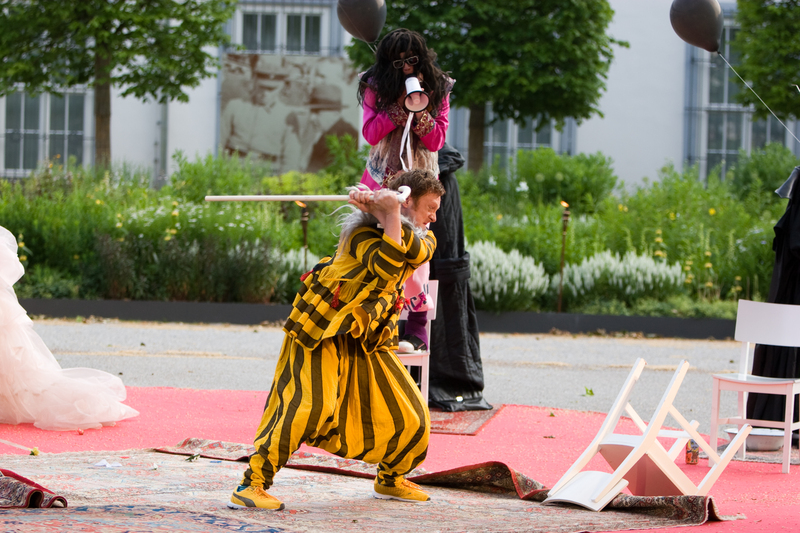 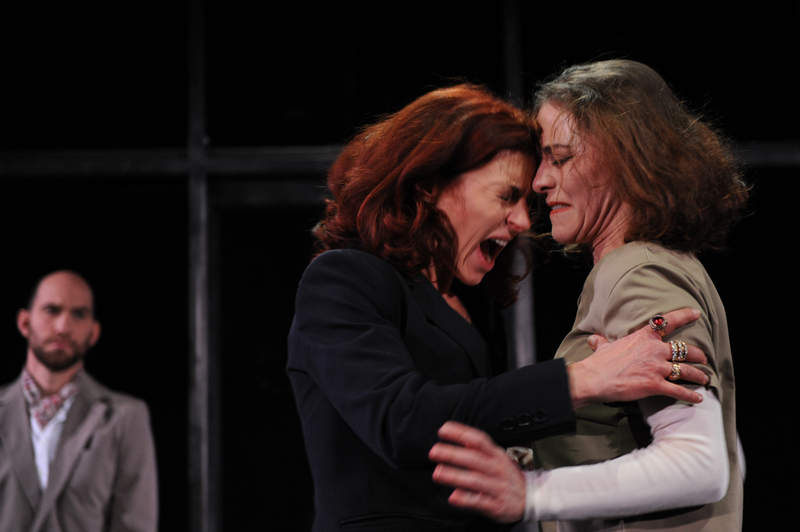 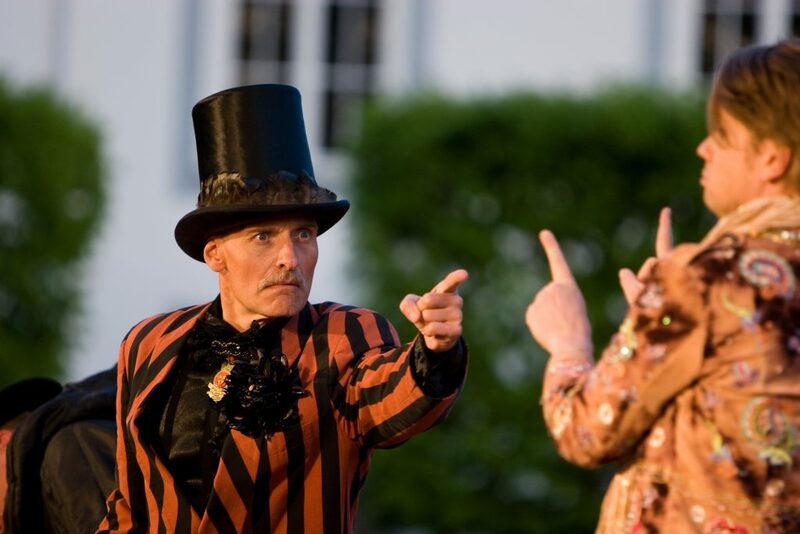 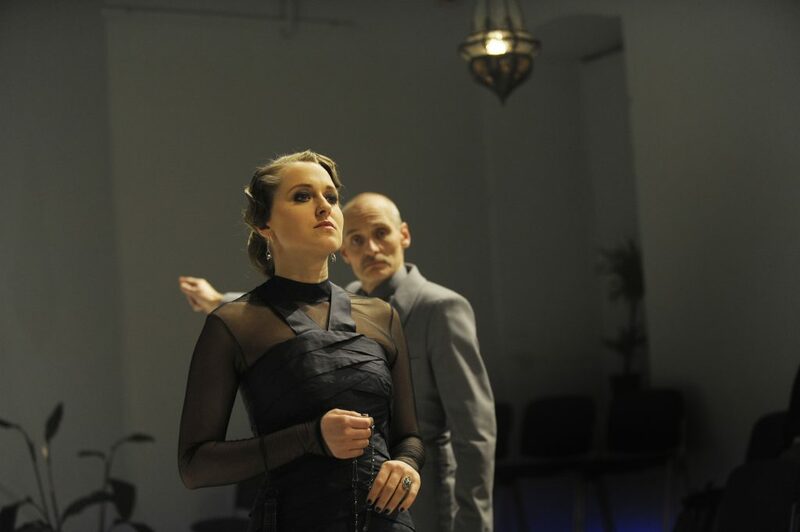 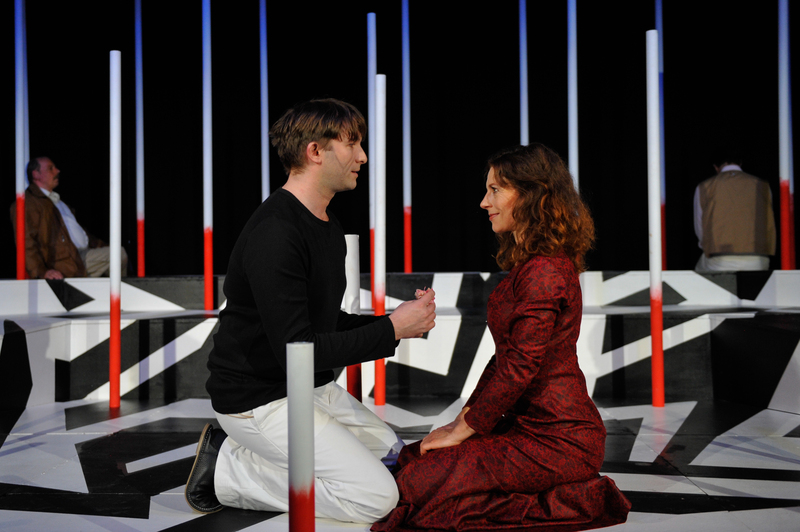 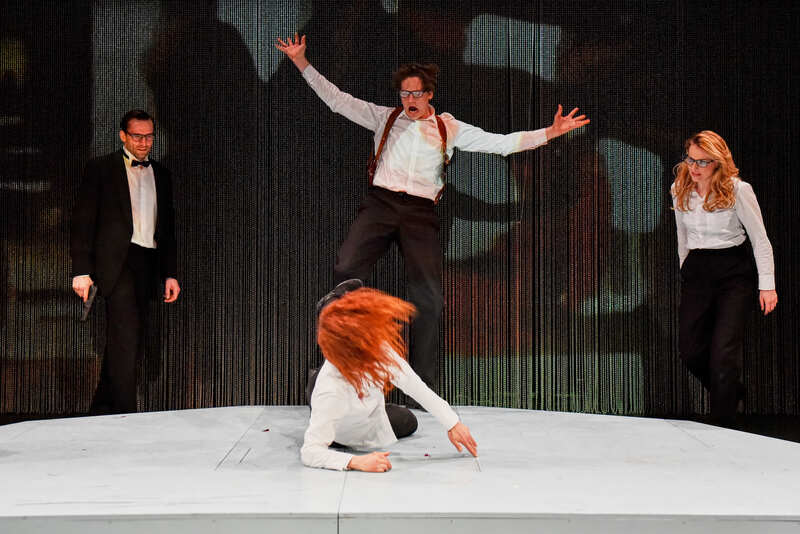 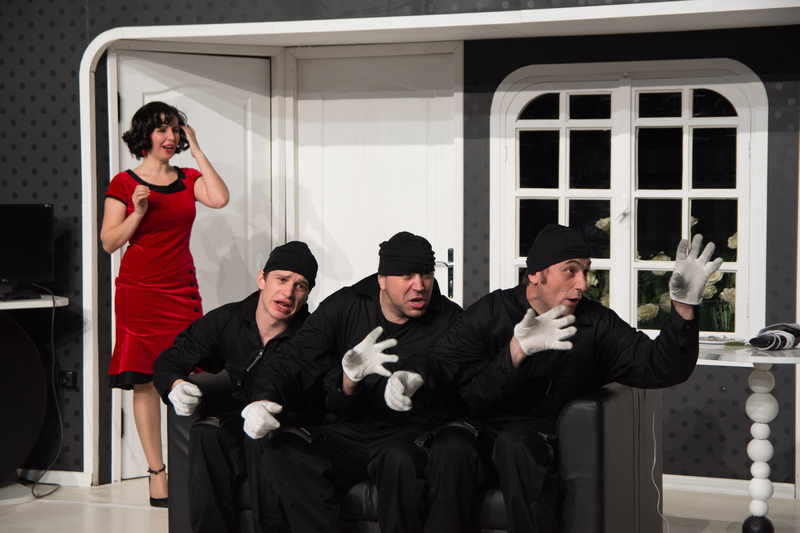 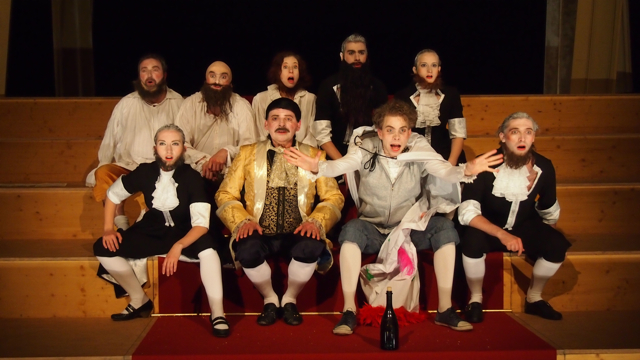 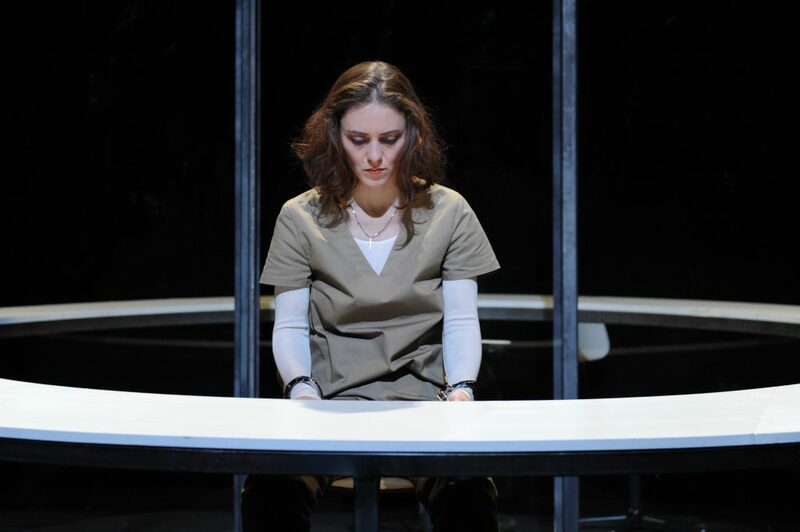 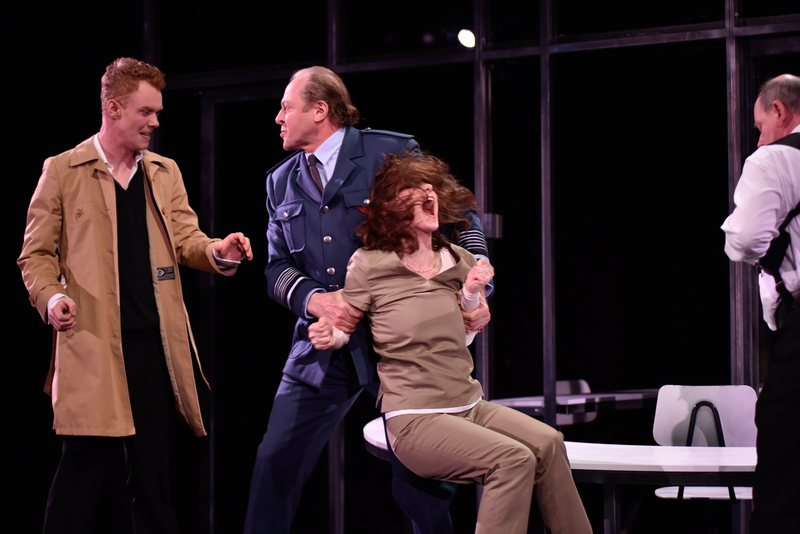 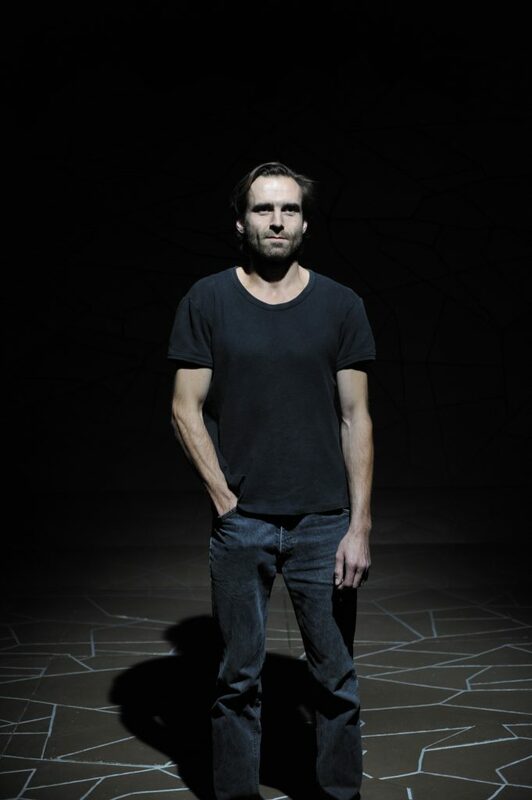 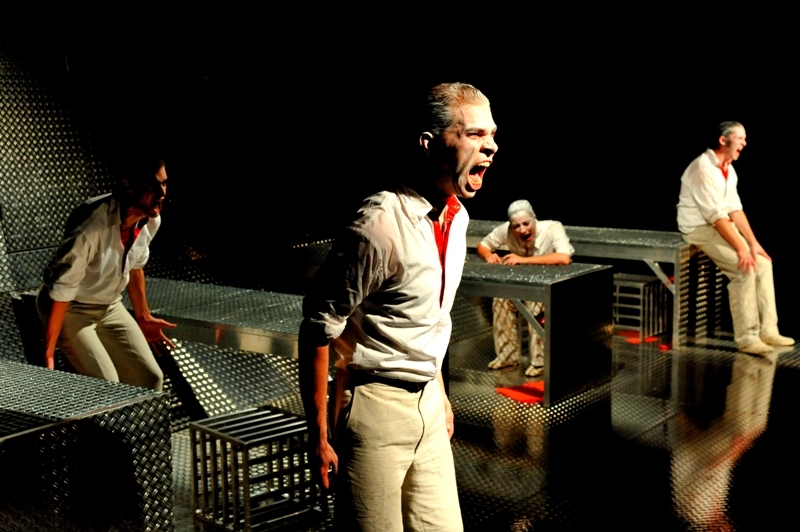 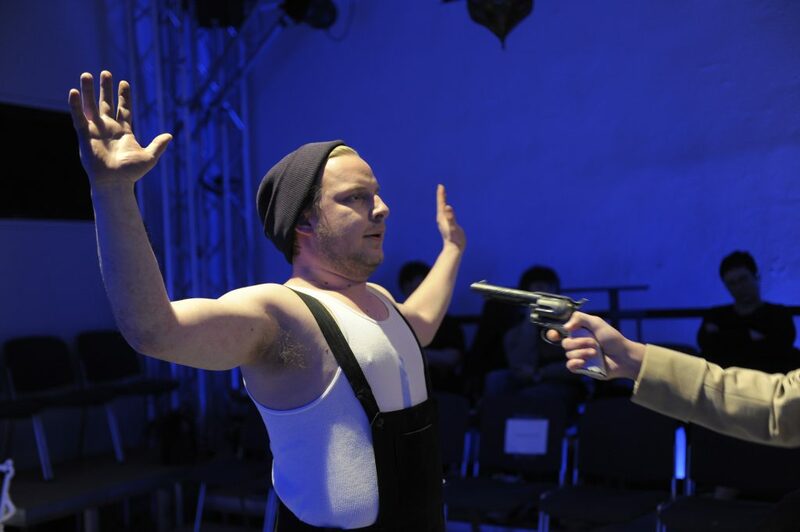 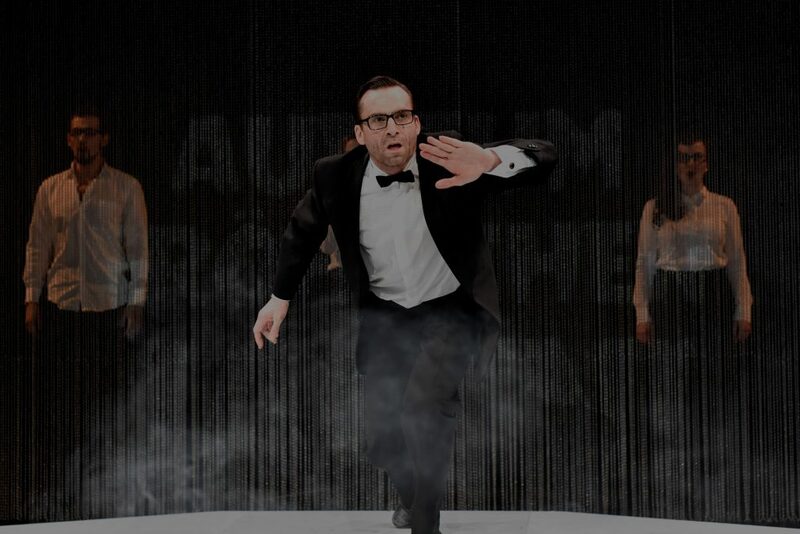 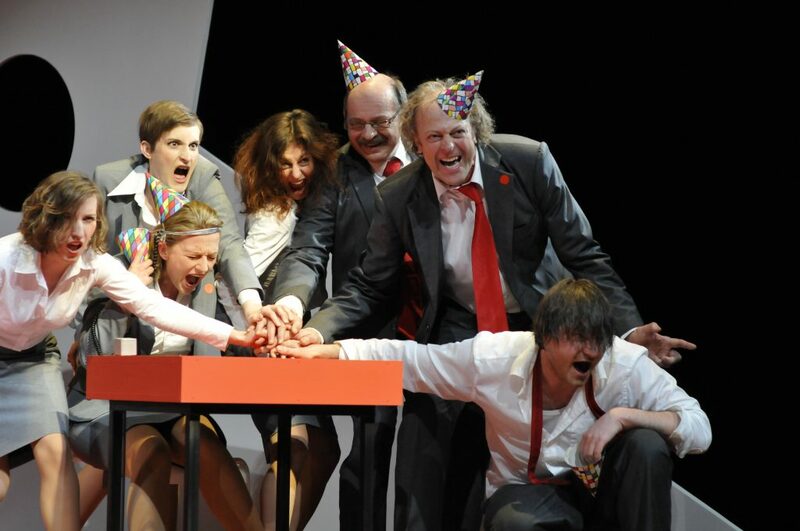 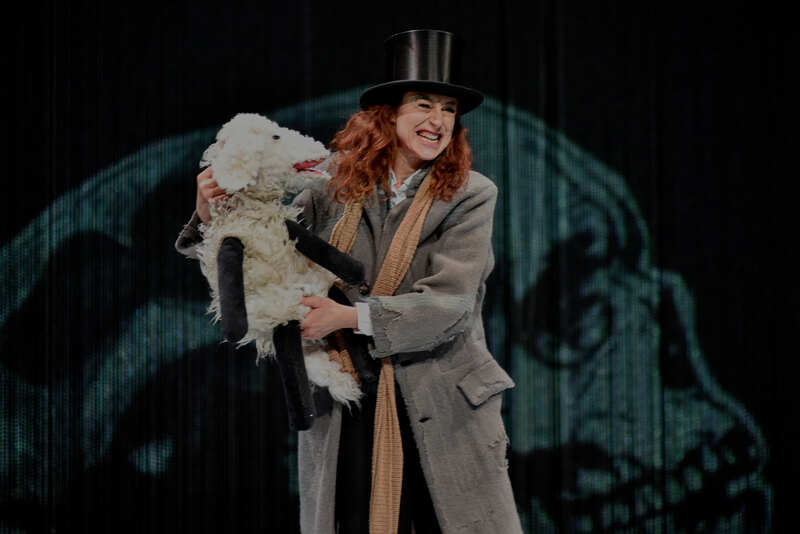 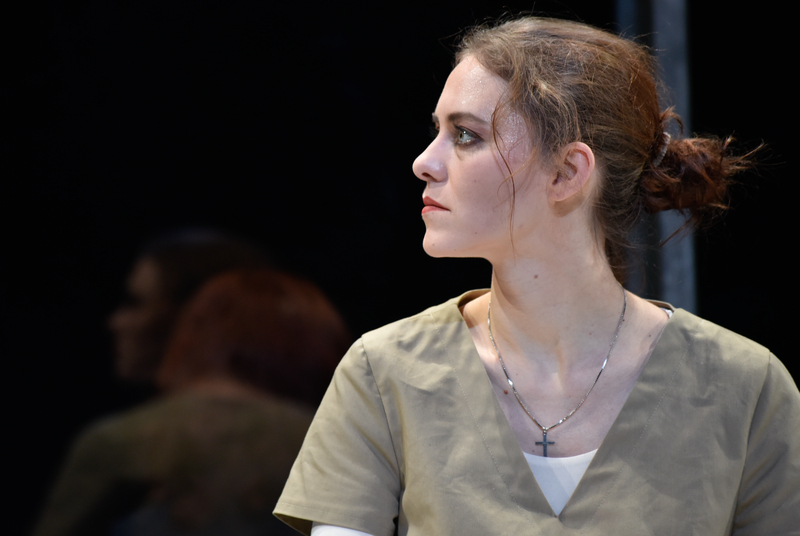 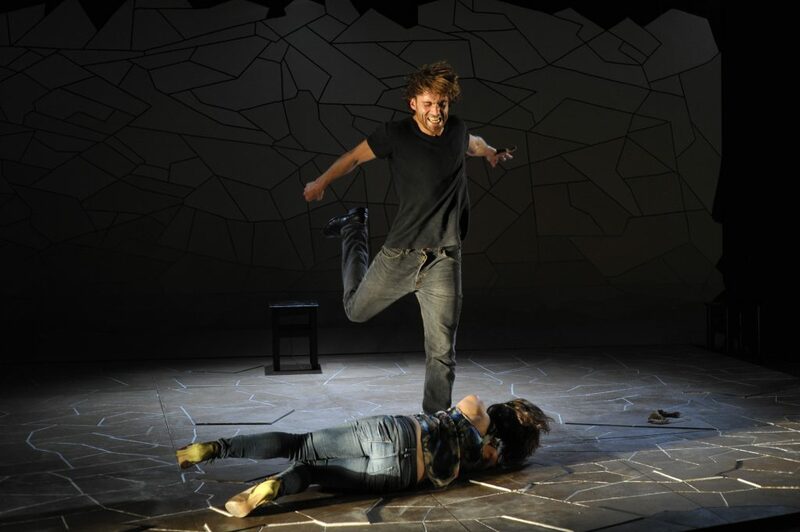 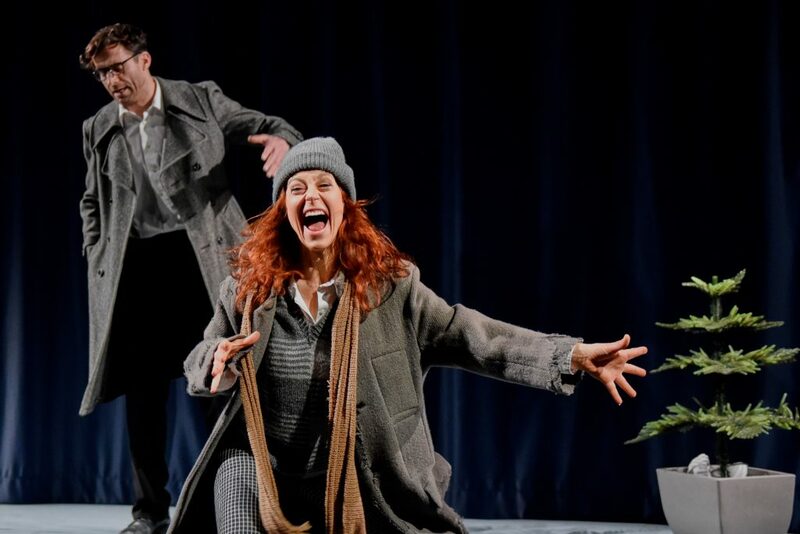 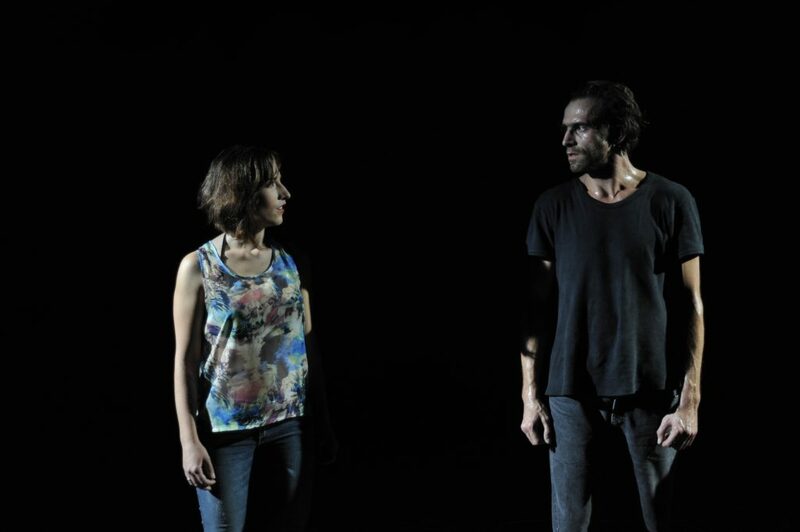 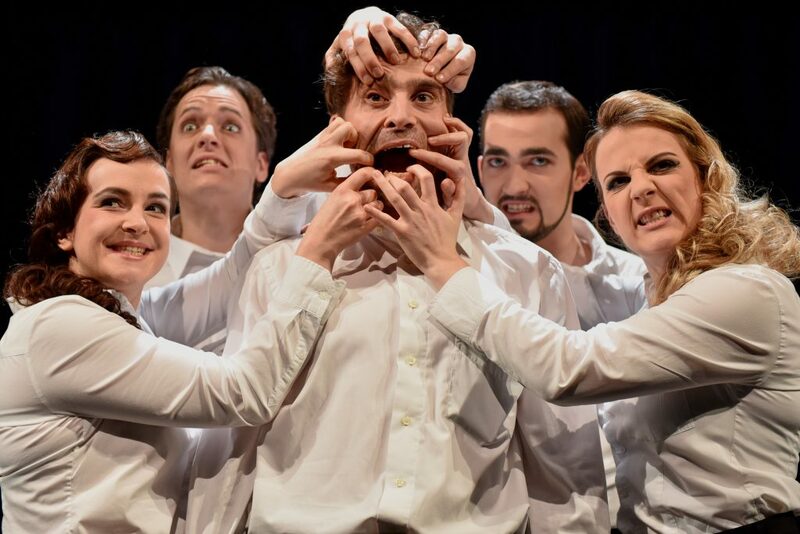 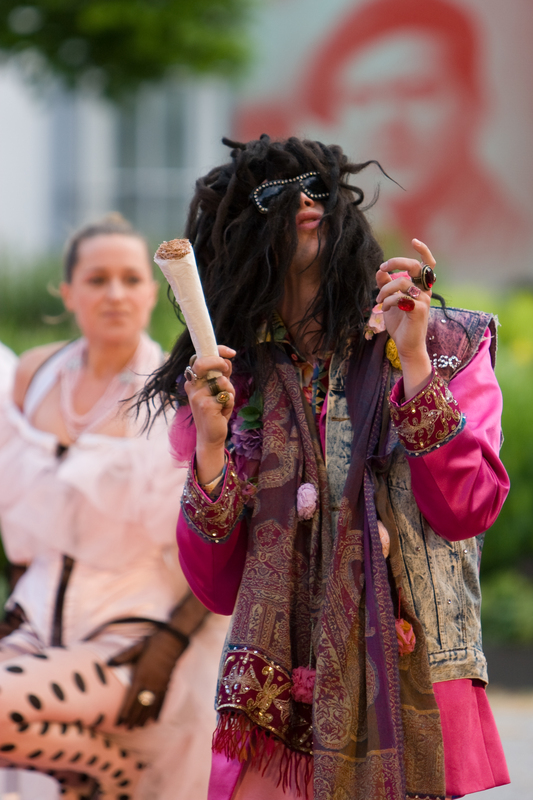 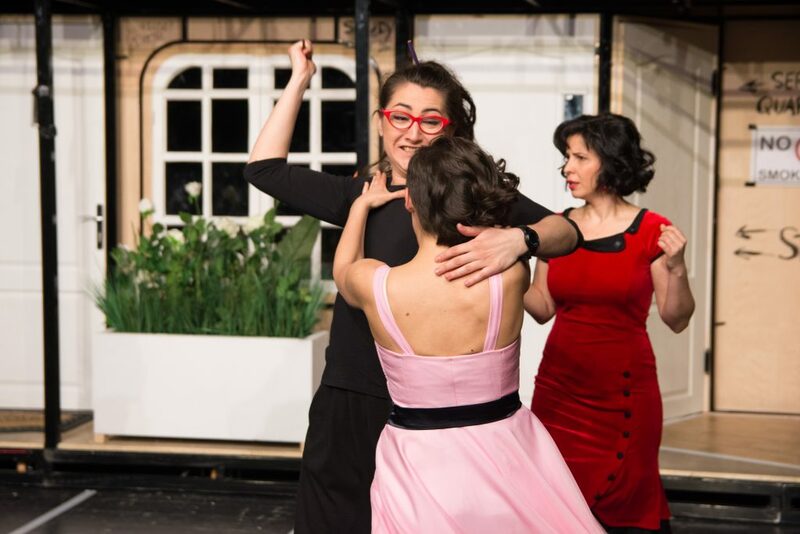 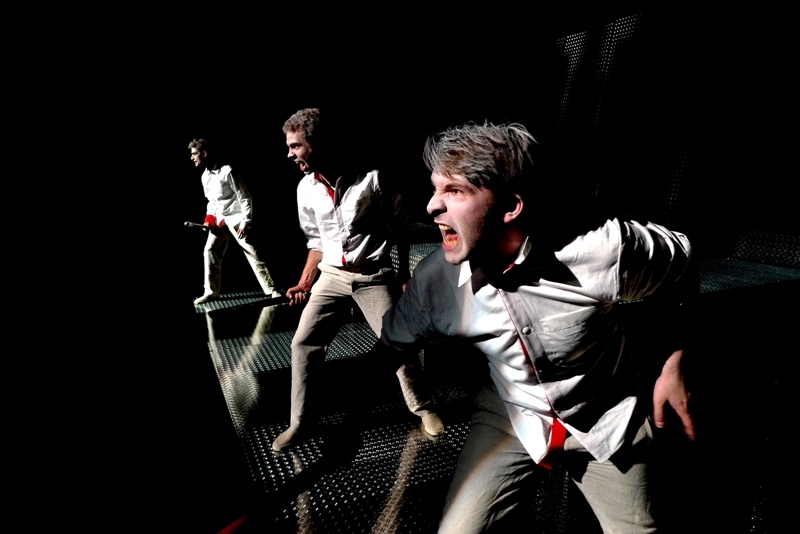 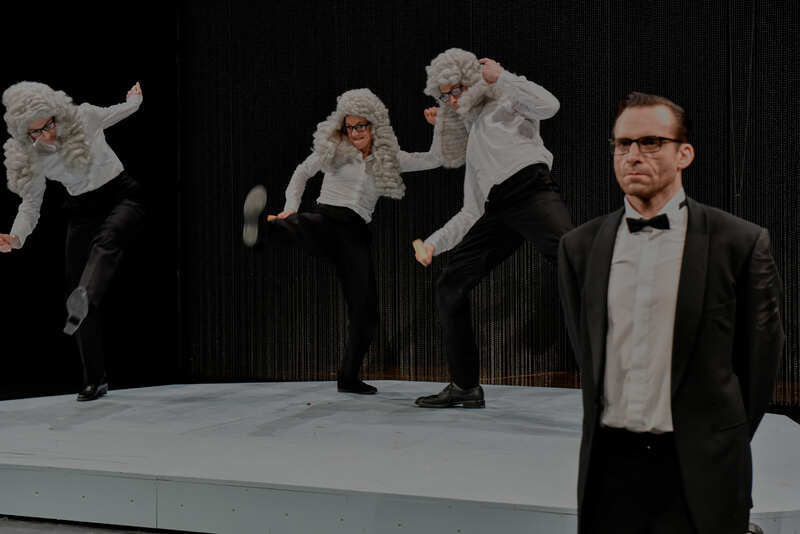 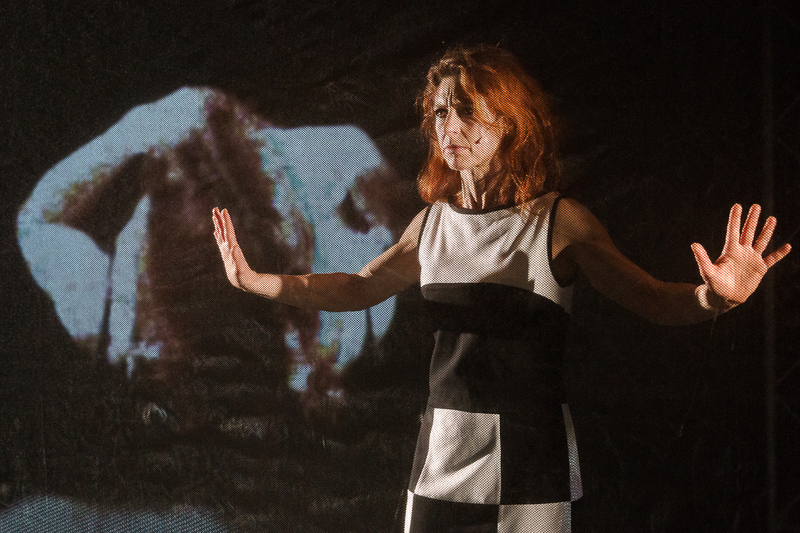 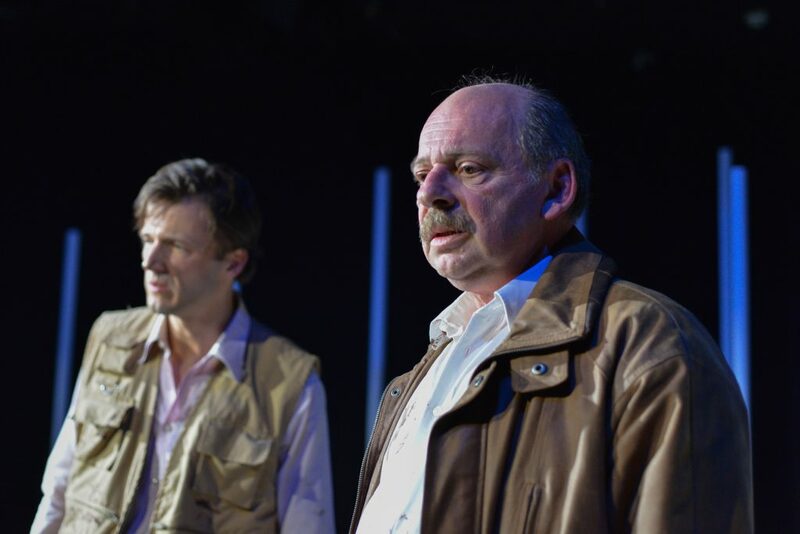 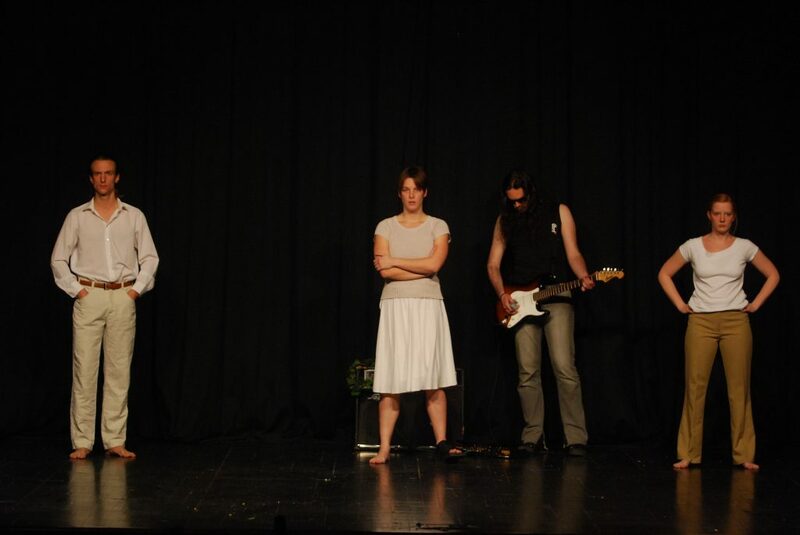 The Fränkische Nachrichten witnessed a “disturbing chamber play“ and the Main Echo finds prove in the production that the “ancient conflict between man and law, family and state, remains bang up to date”. 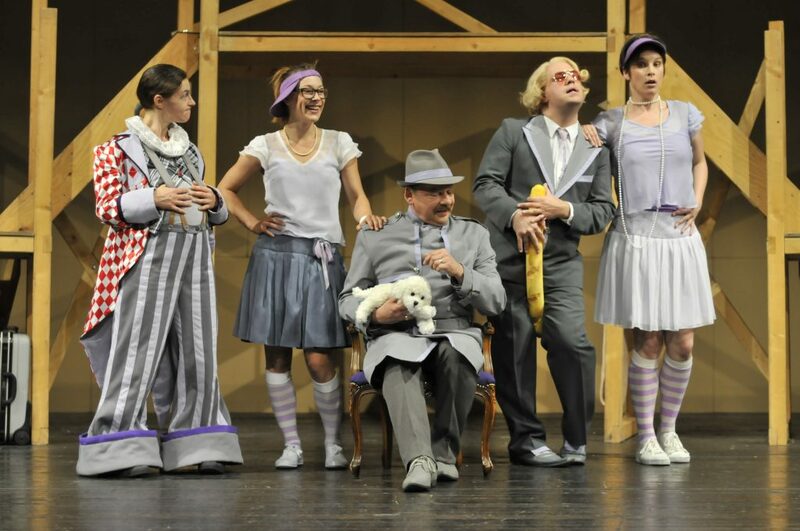 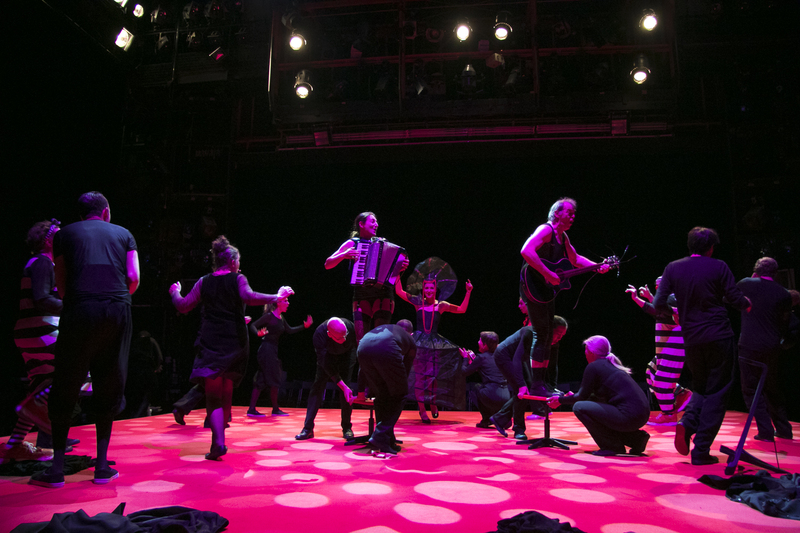 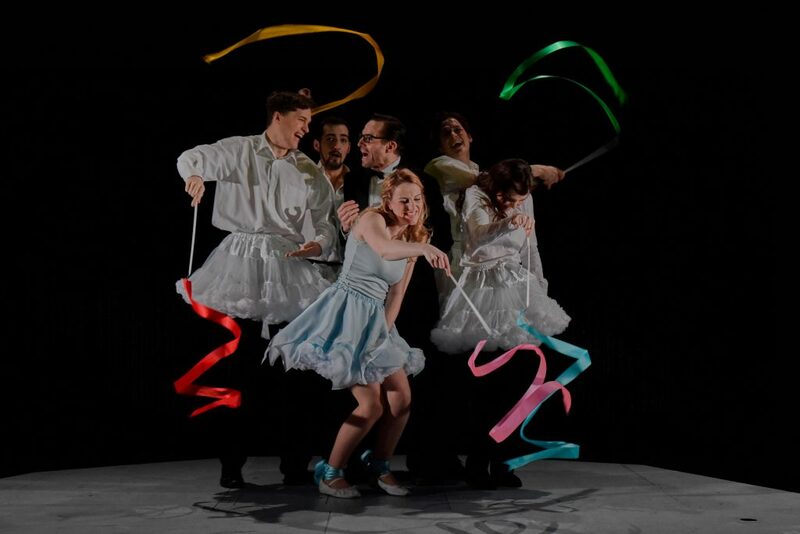 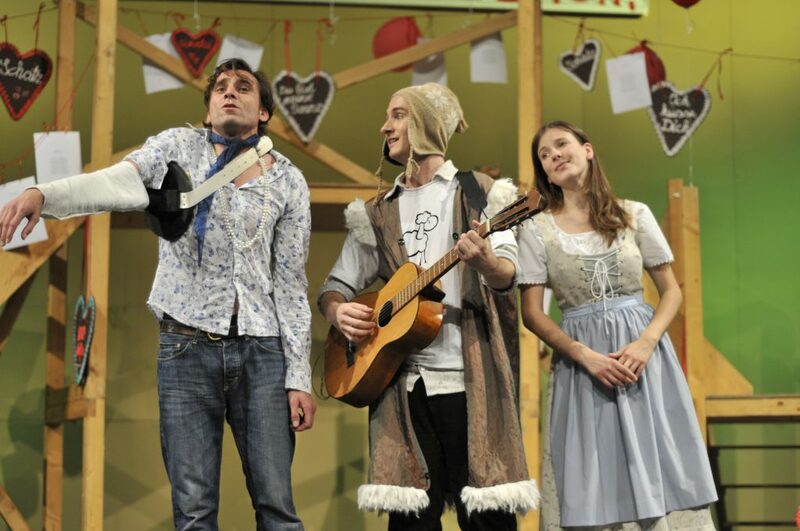 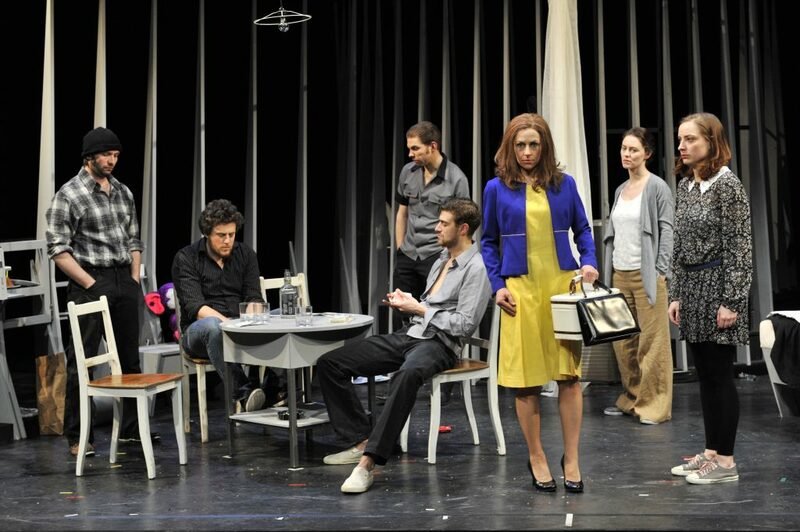 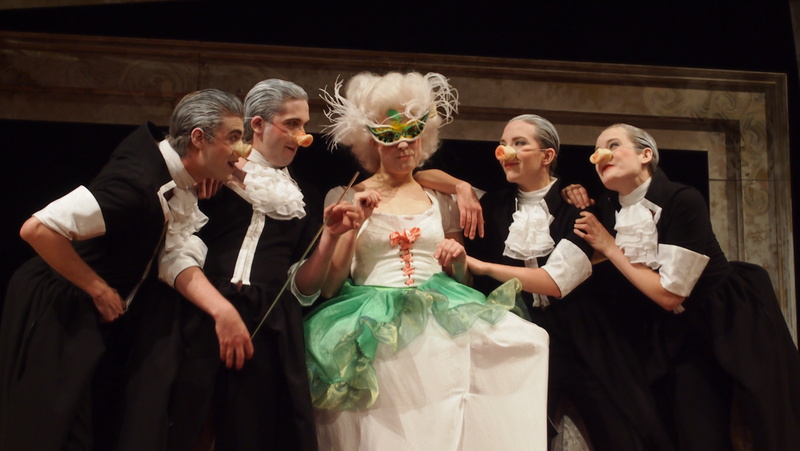 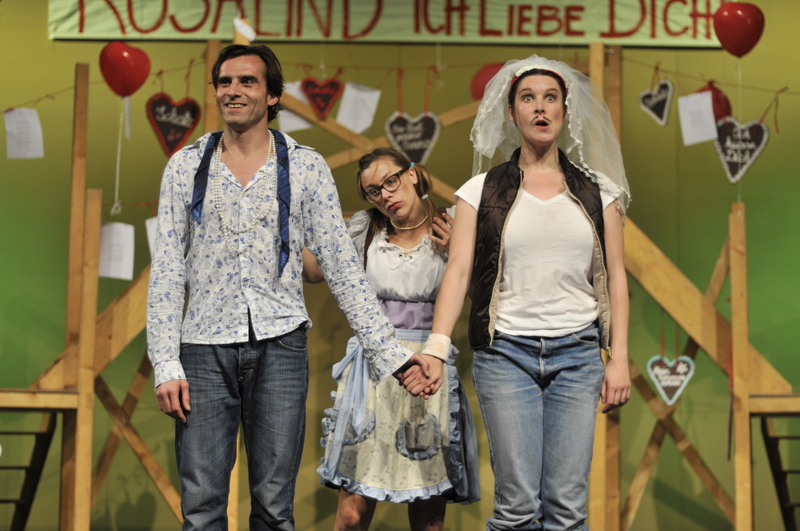 The Fränkische Nachrichten saw an „ensemble of actors, bubbling over with wit and joy of playing”. 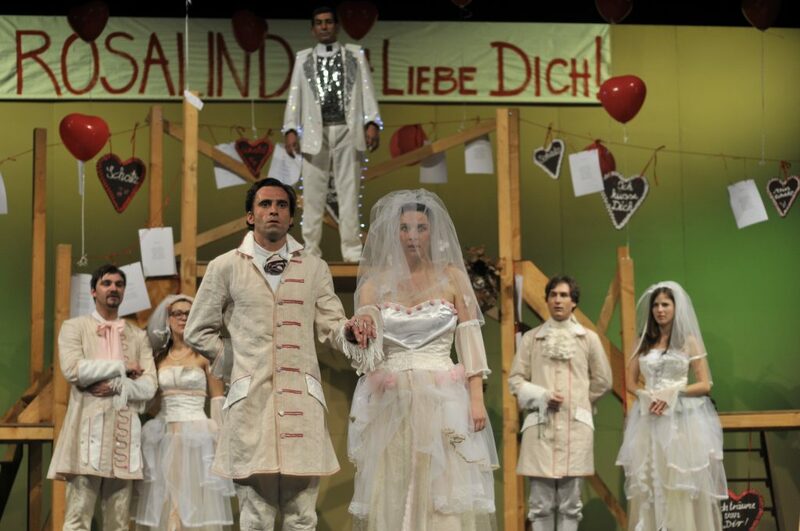 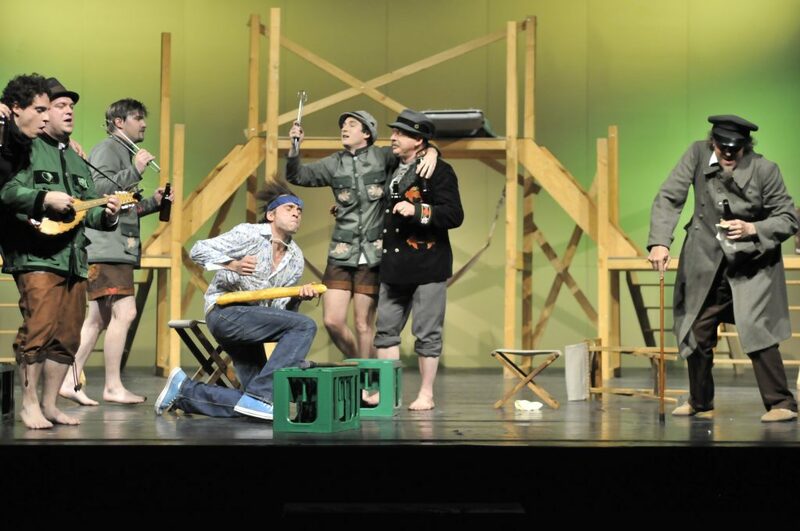 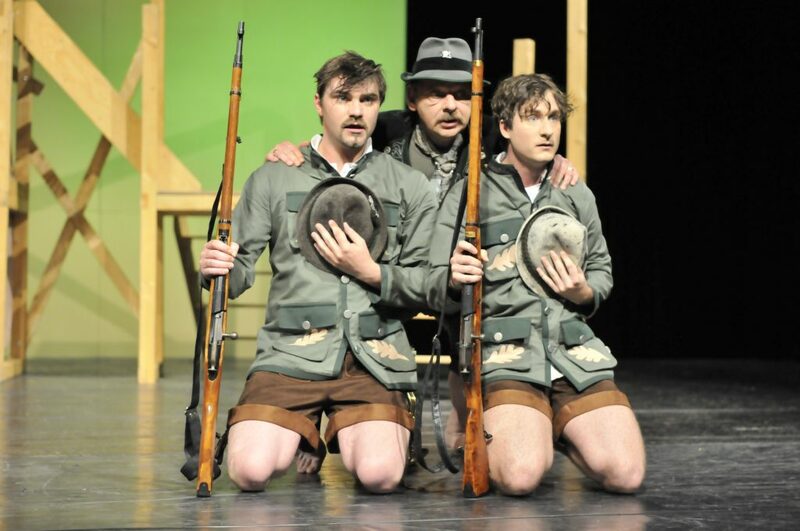 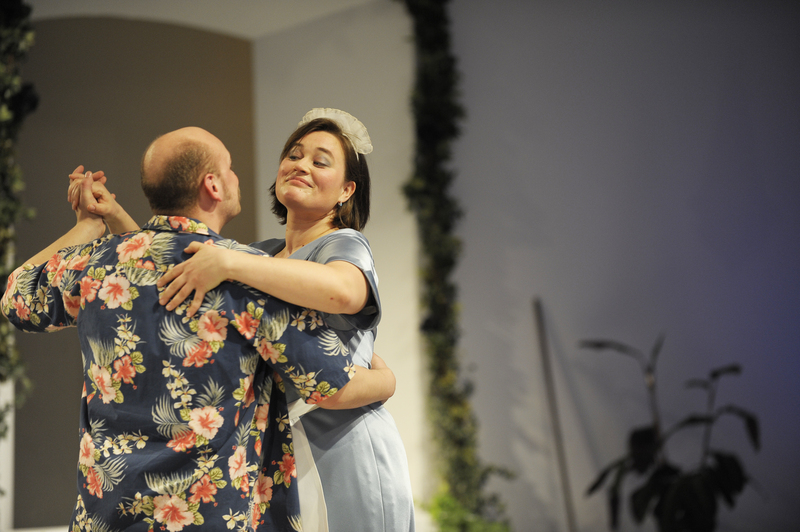 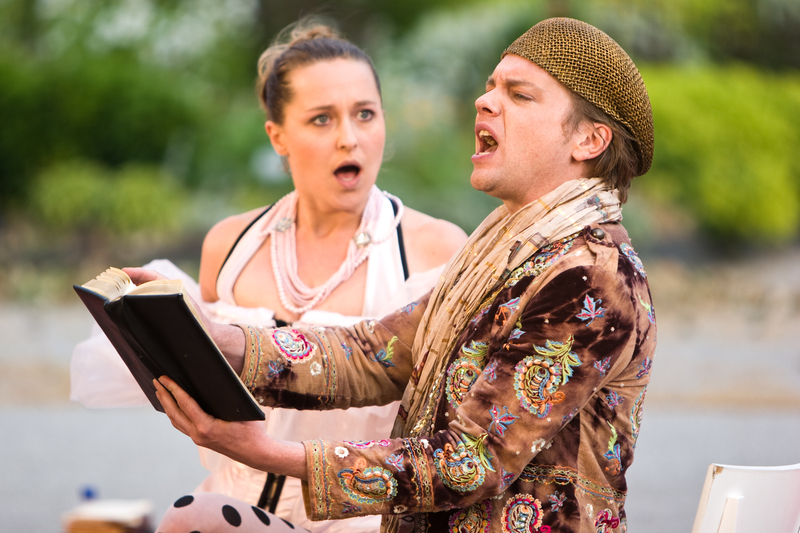 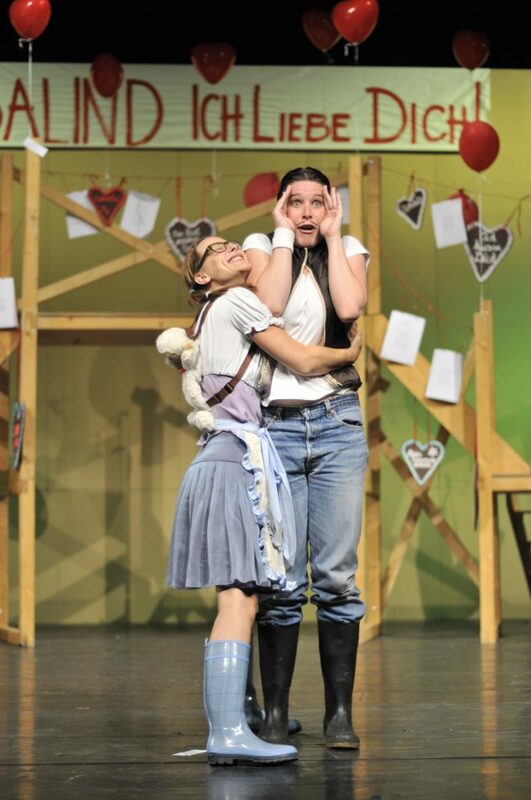 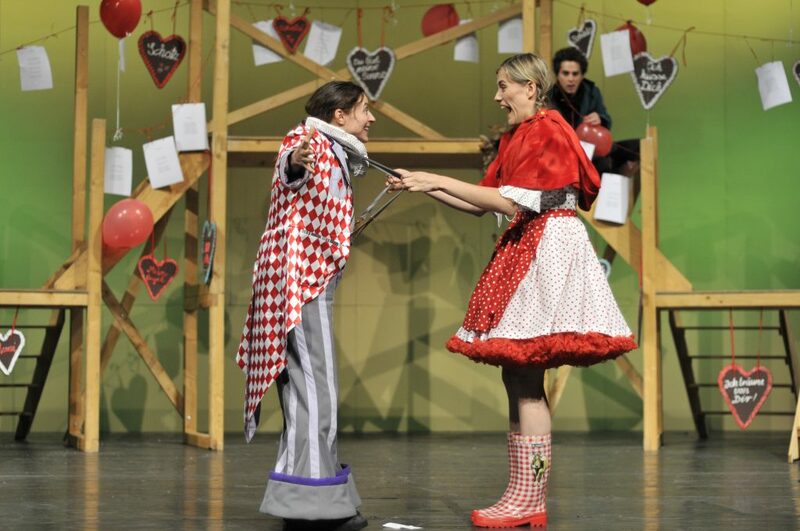 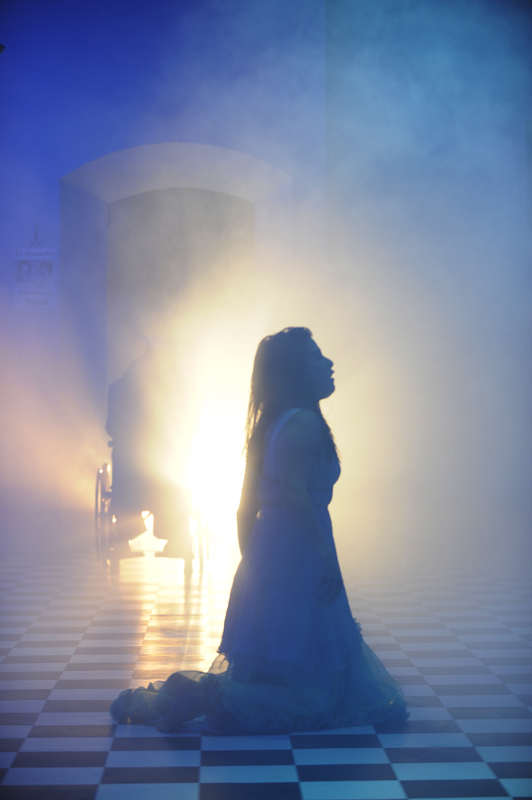 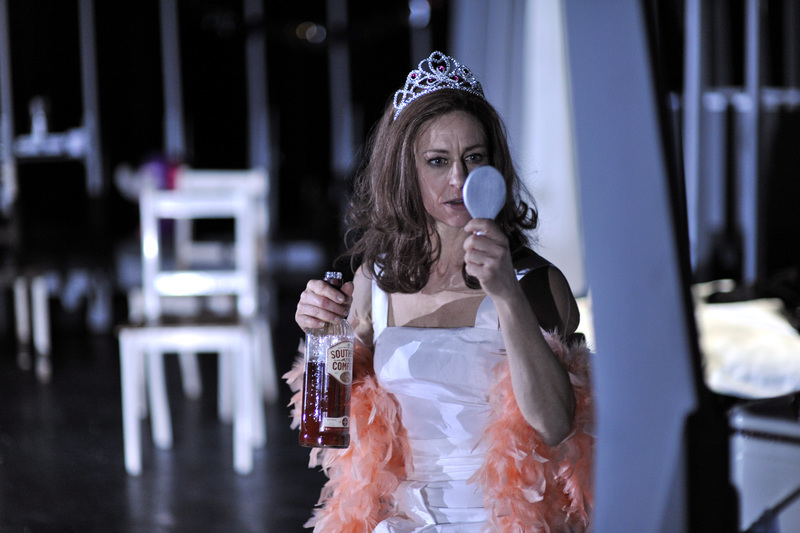 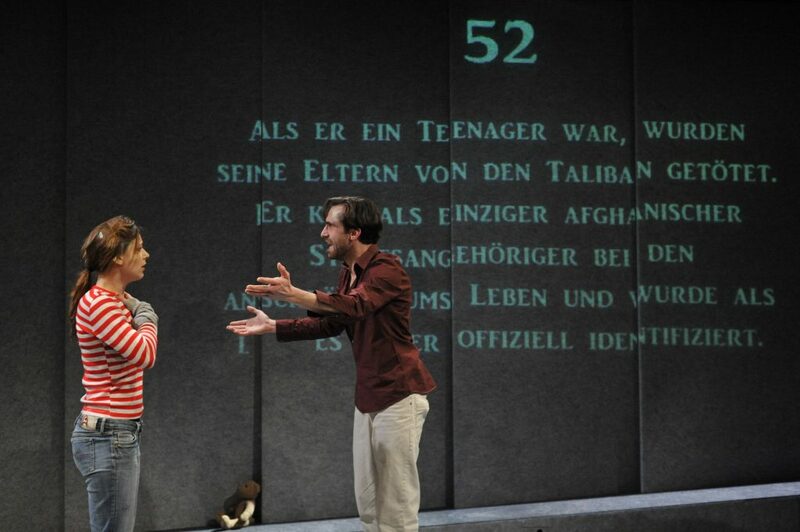 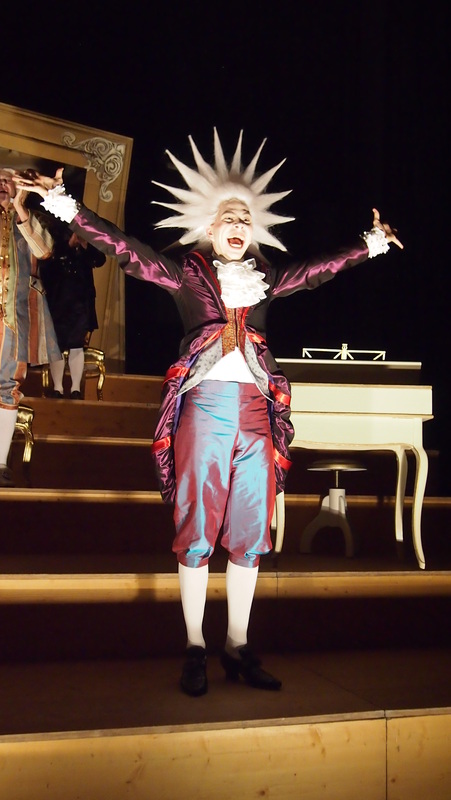 The critic of the Rhein-Neckar-Zeitung puts to the record: „A thoughtful production with spectacular scenes“. 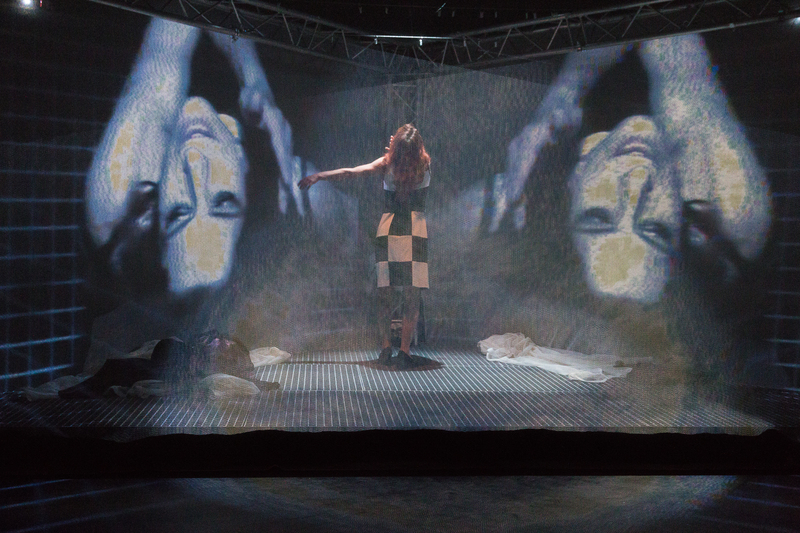 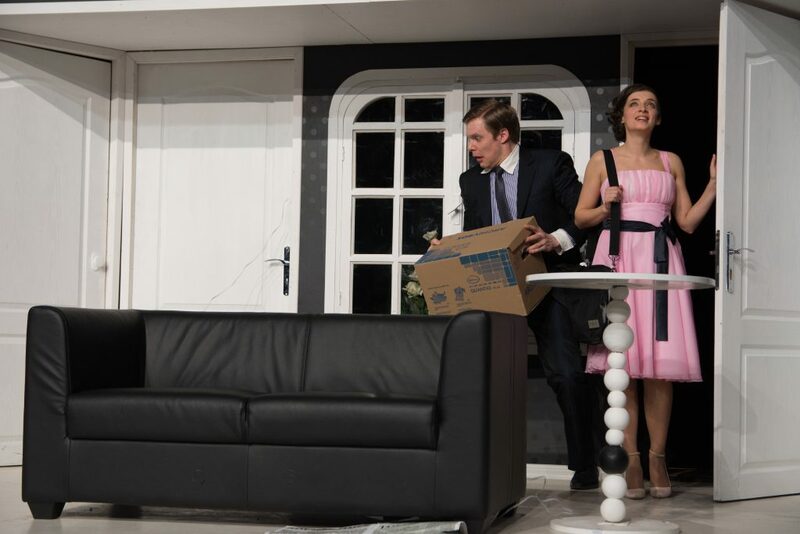 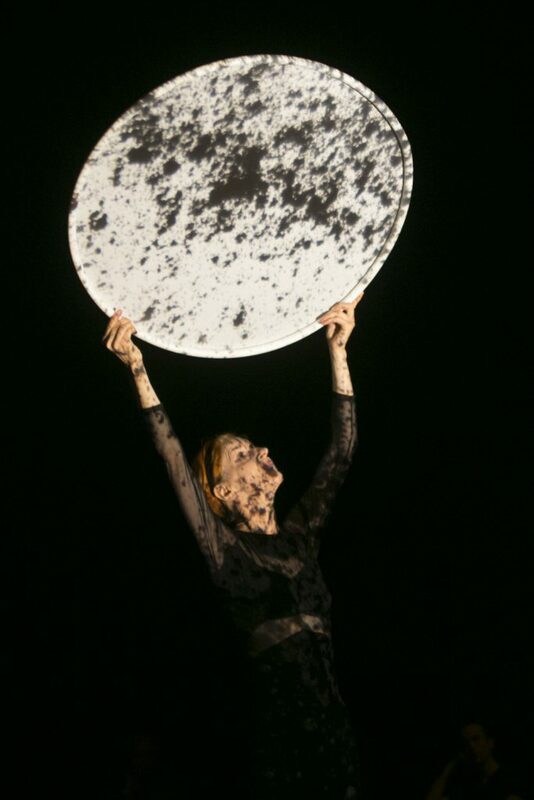 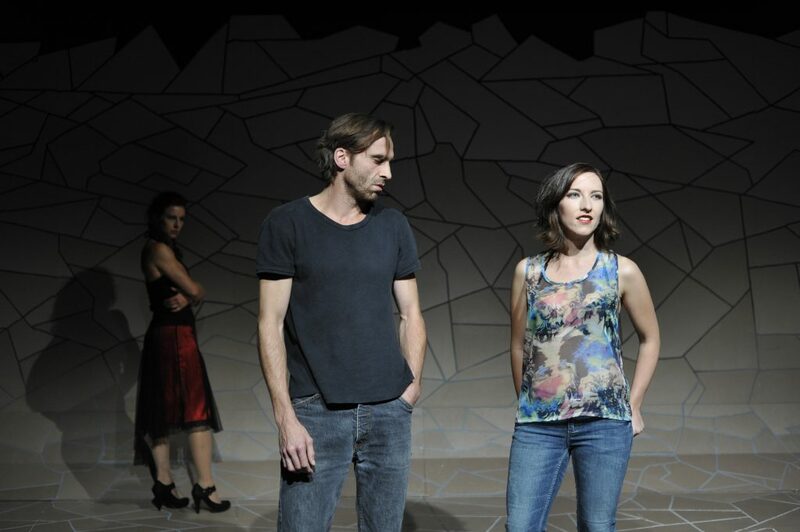 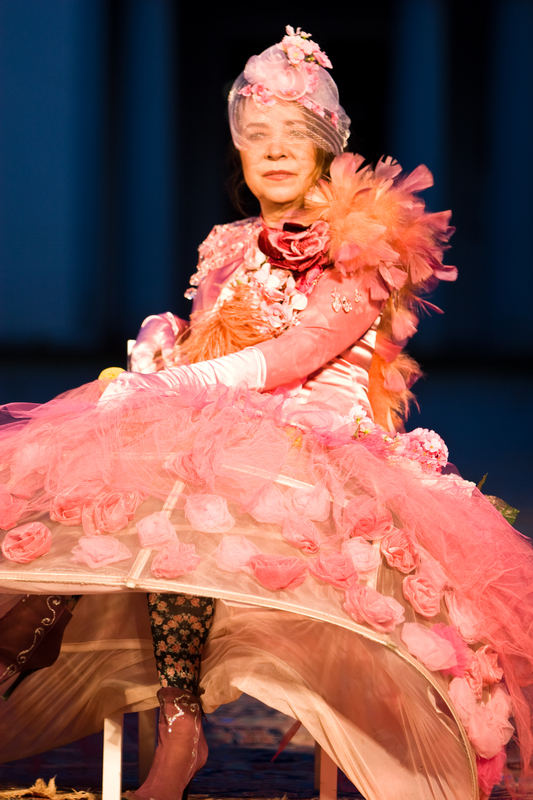 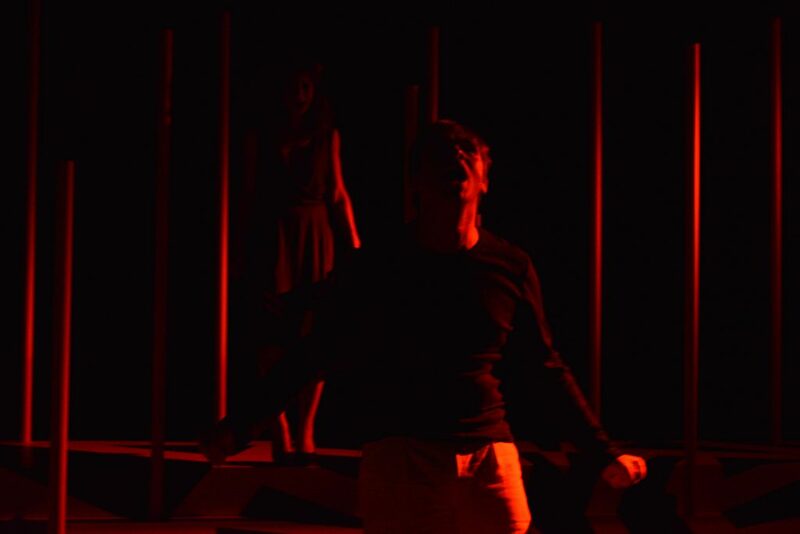 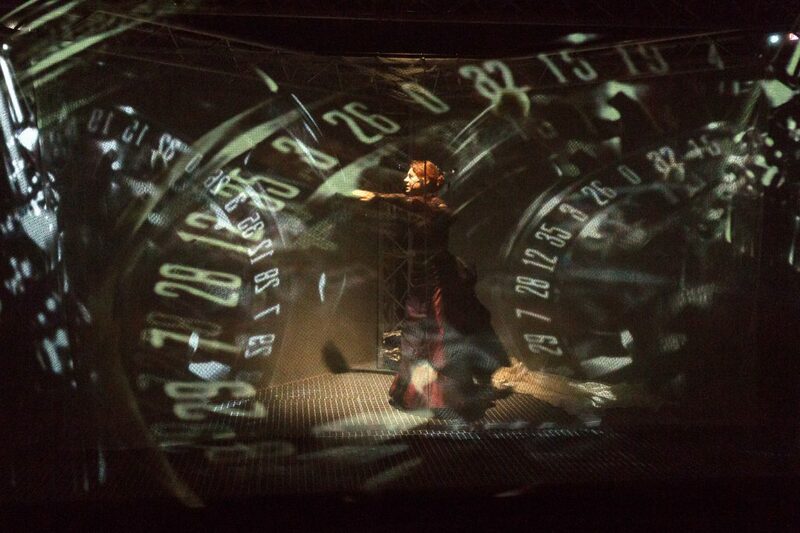 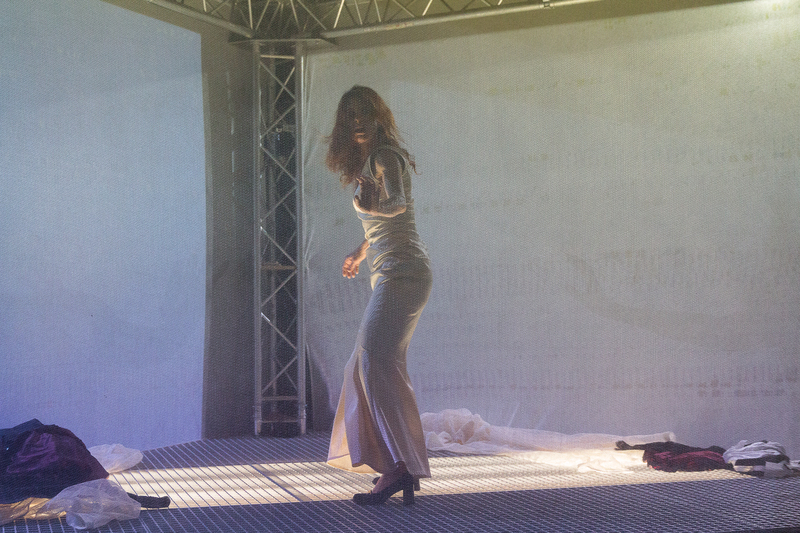 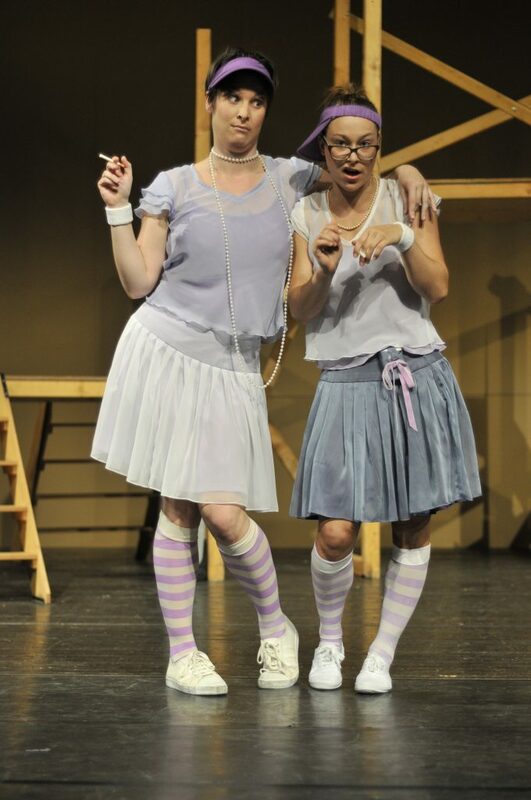 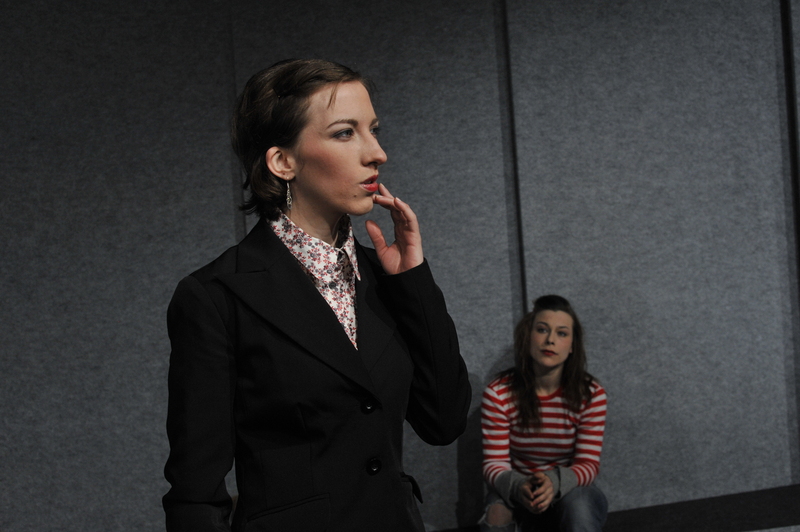 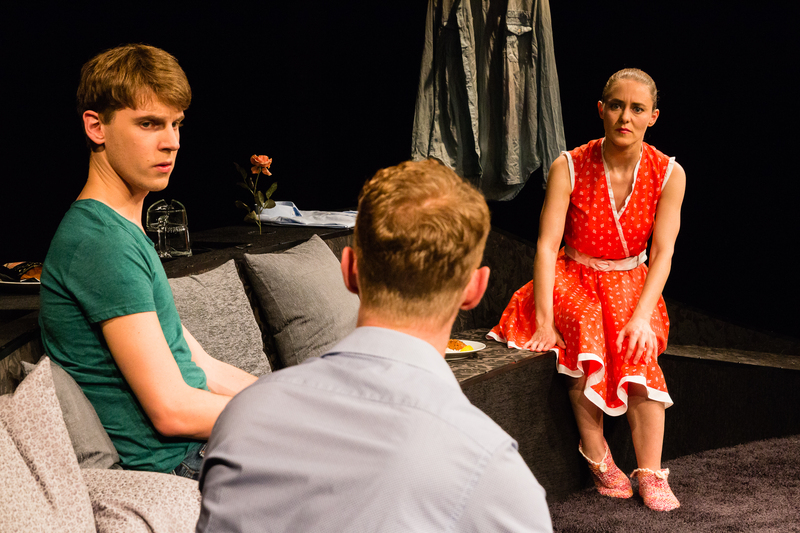 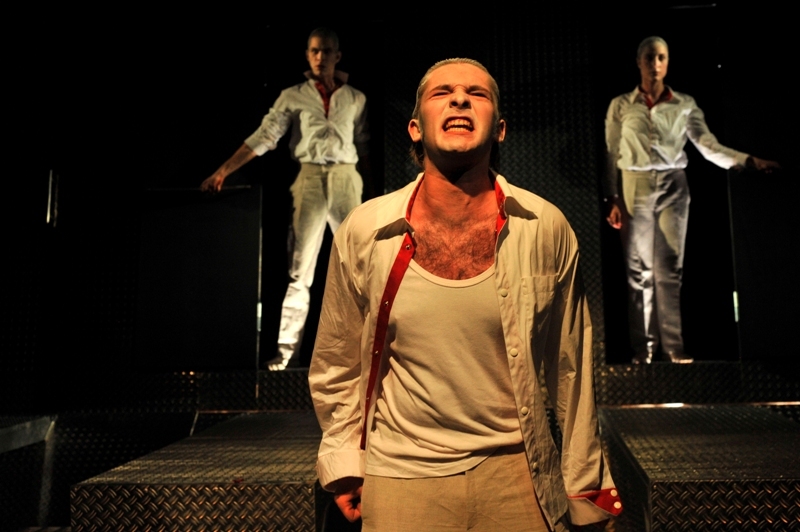 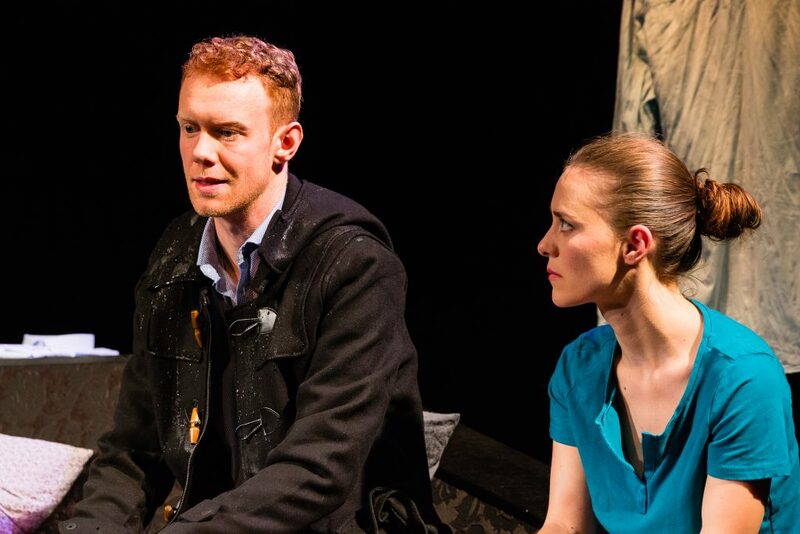 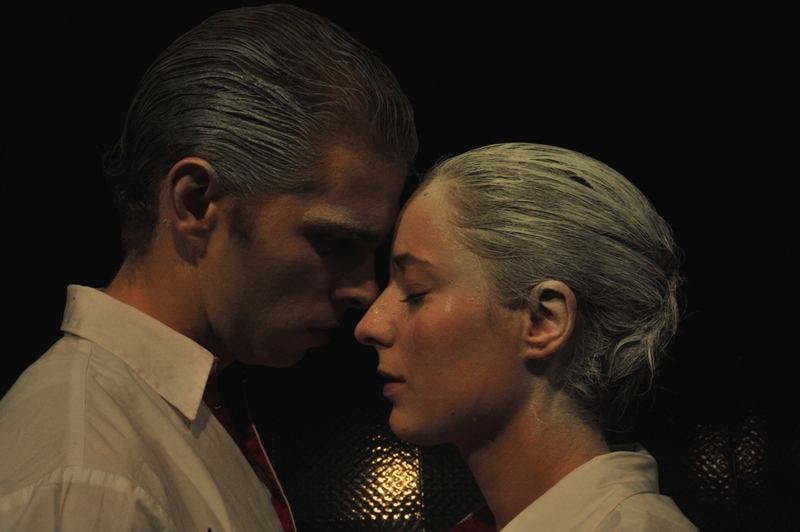 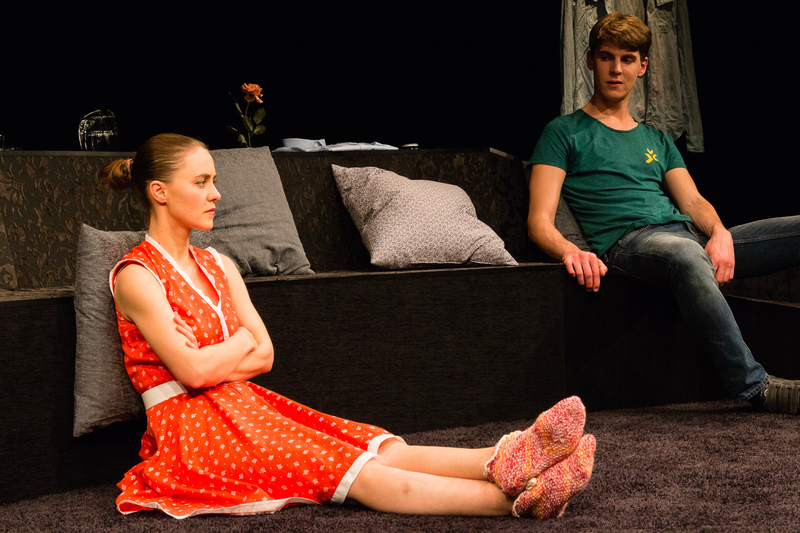 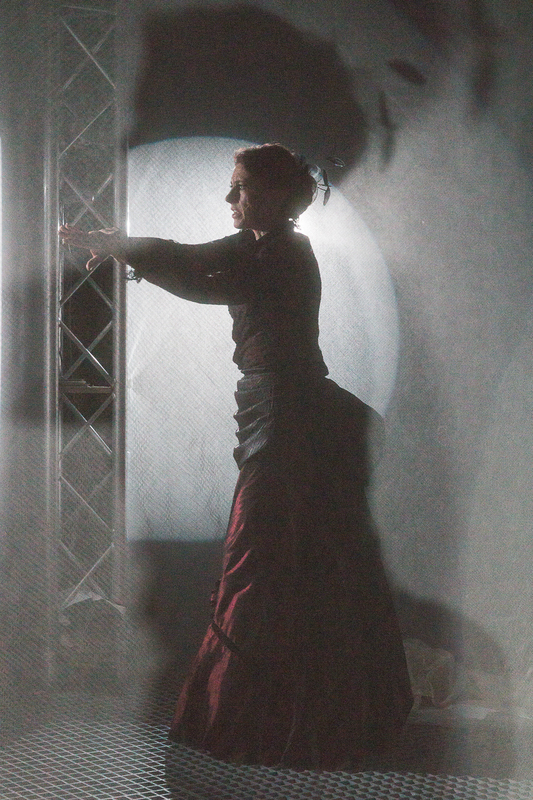 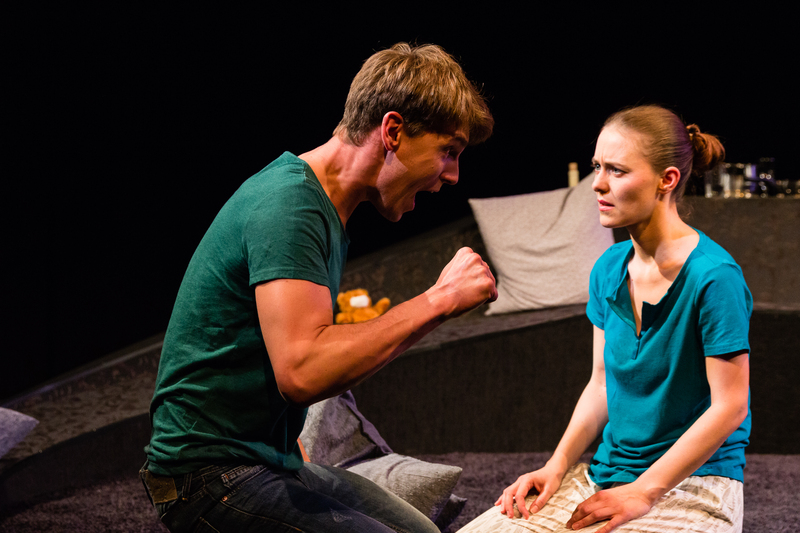 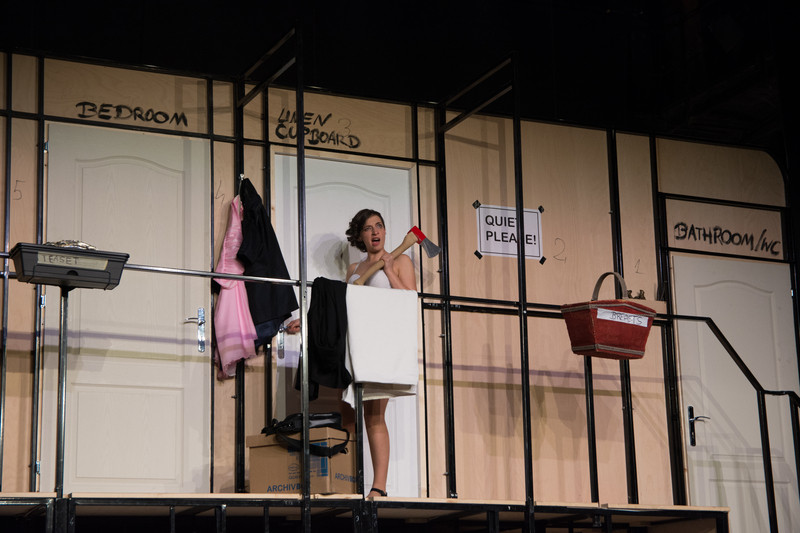 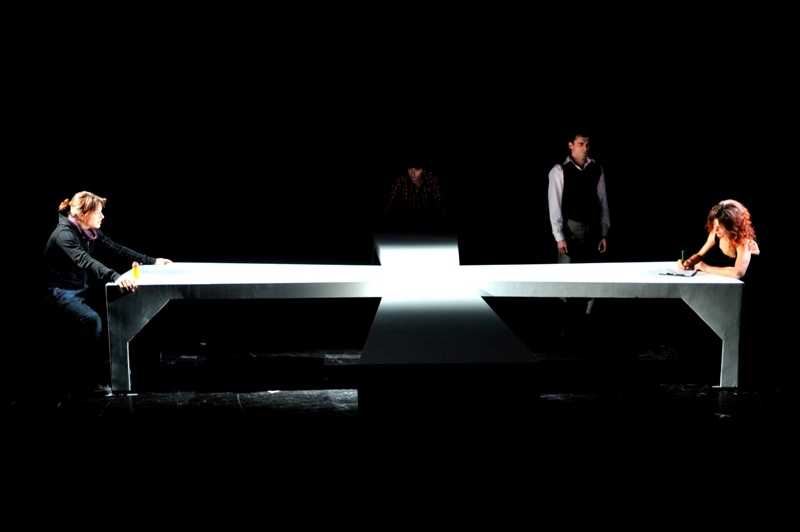 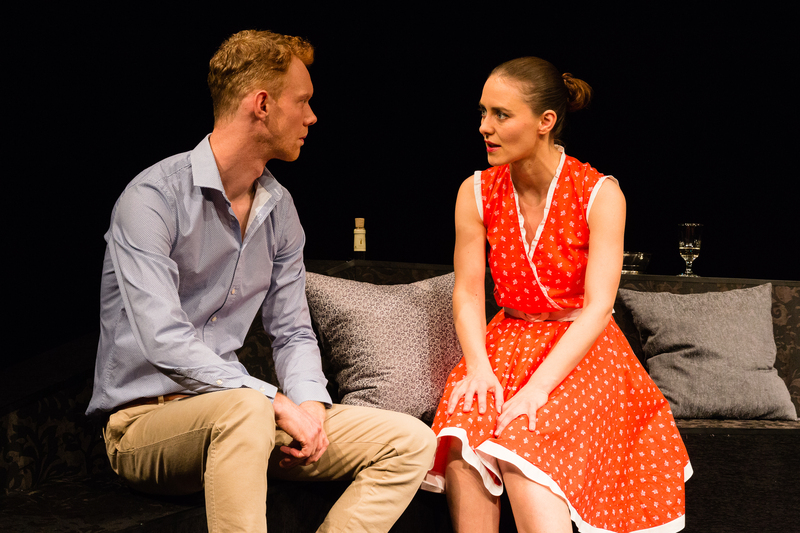 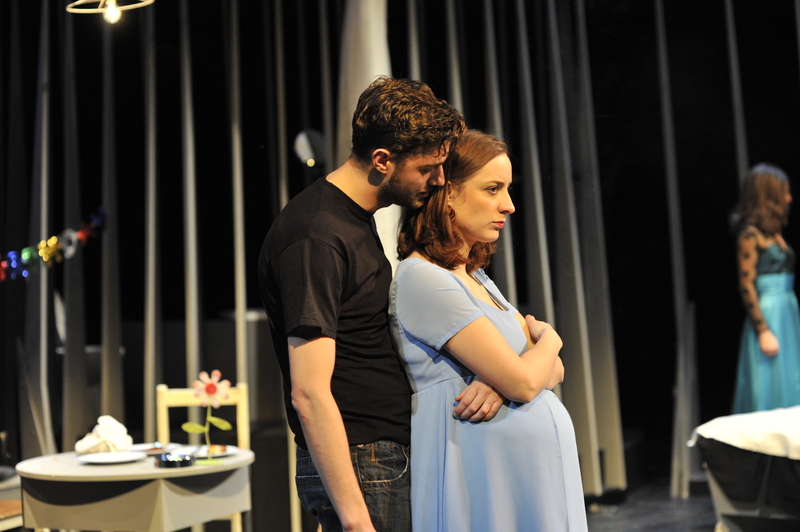 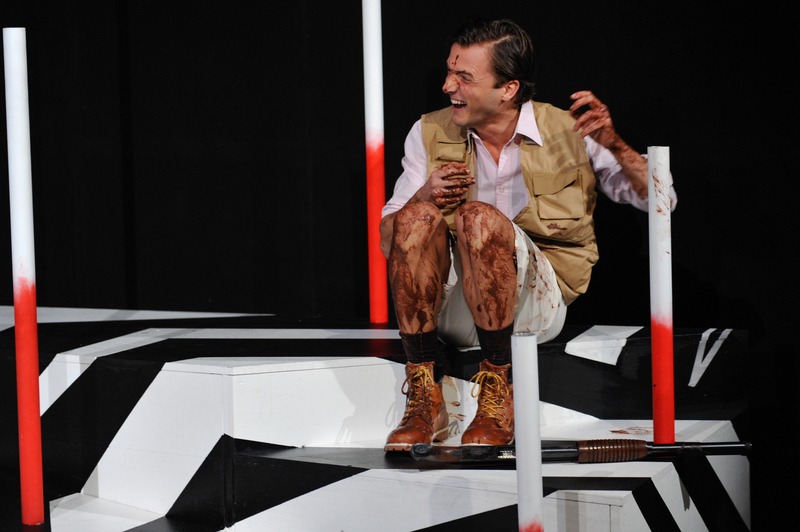 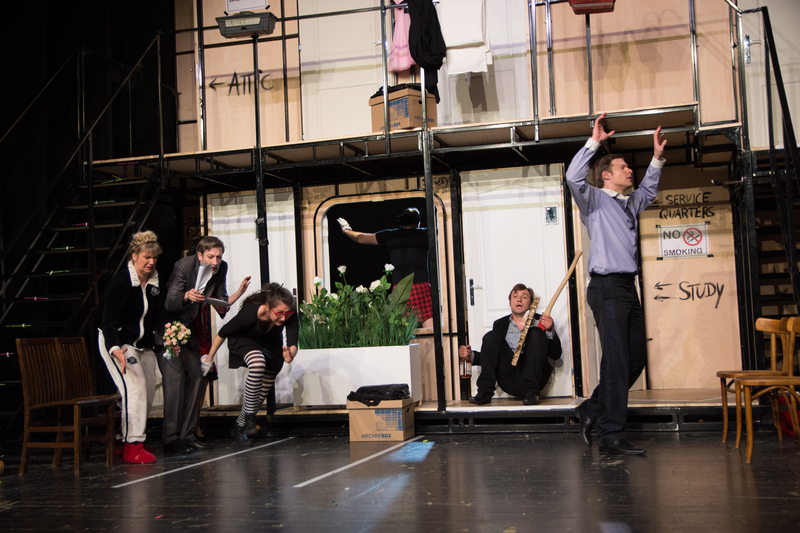 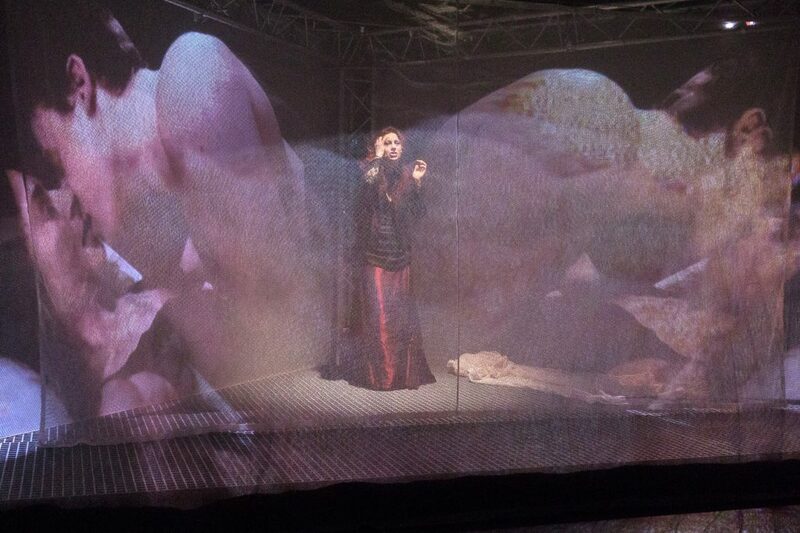 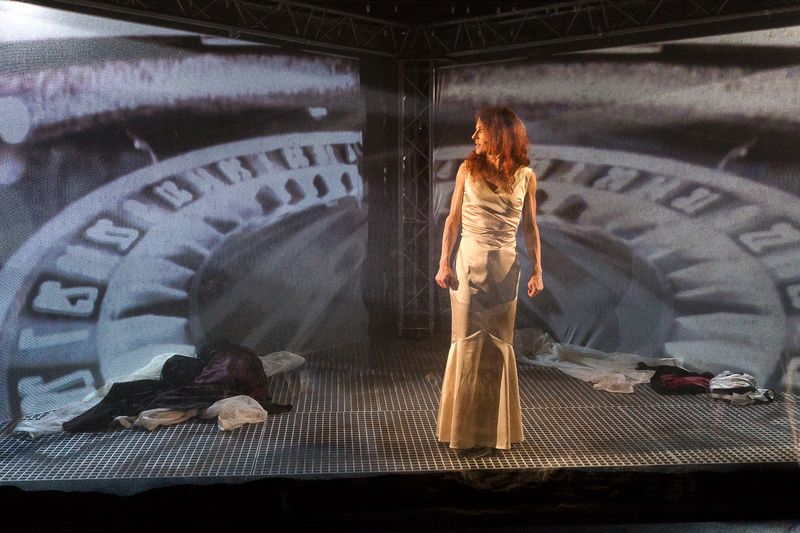 The Siegener Zeitung saw a „riveting production (…) breathless, emotional, fascinating“. 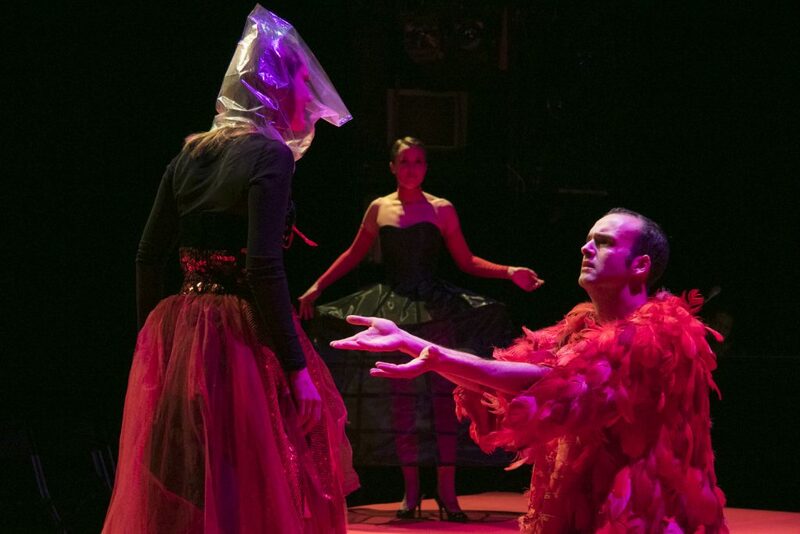 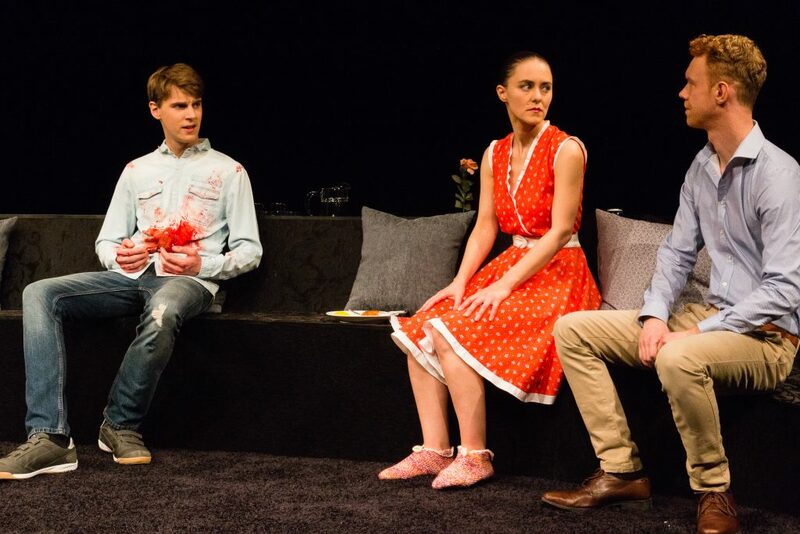 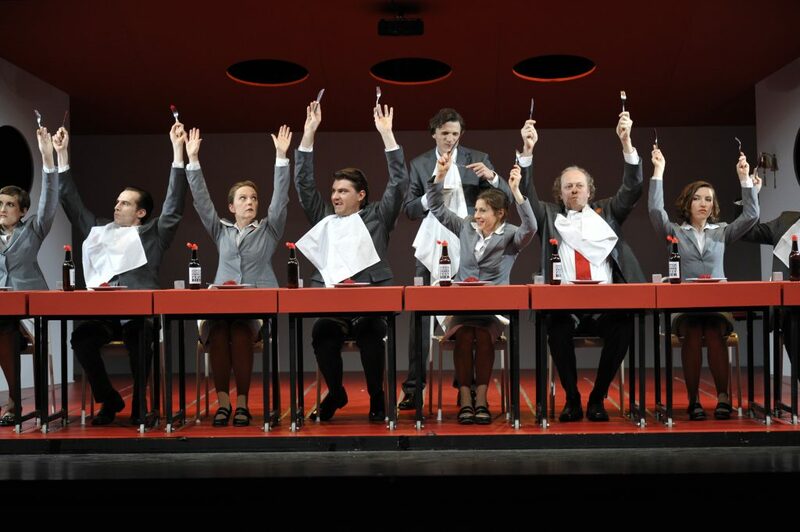 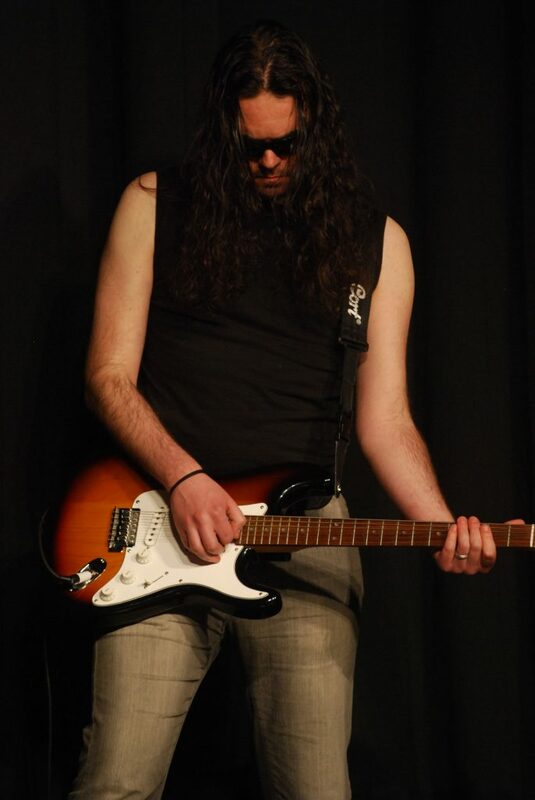 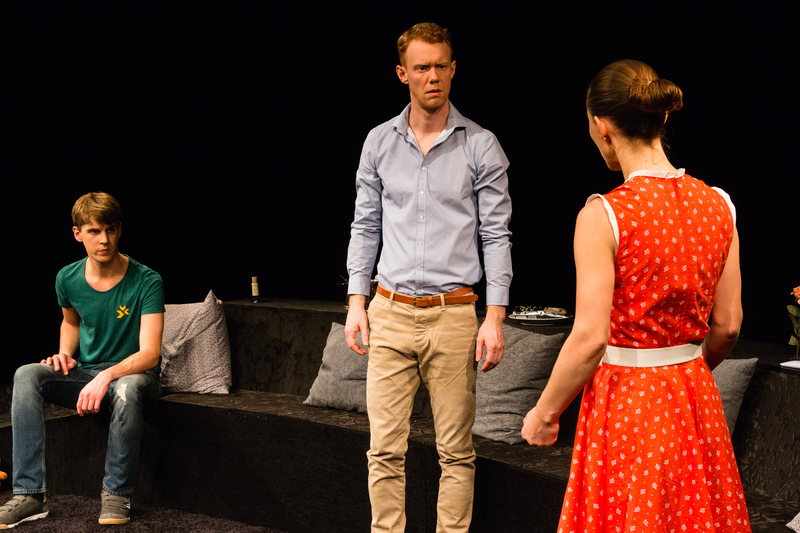 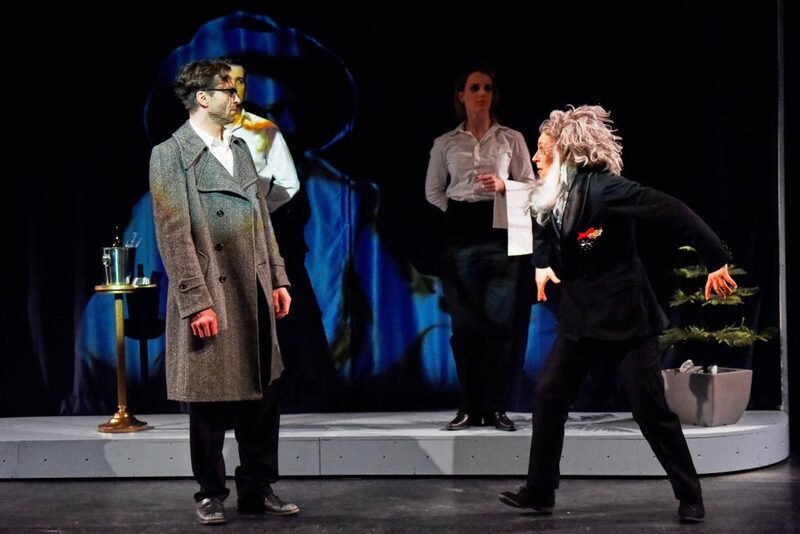 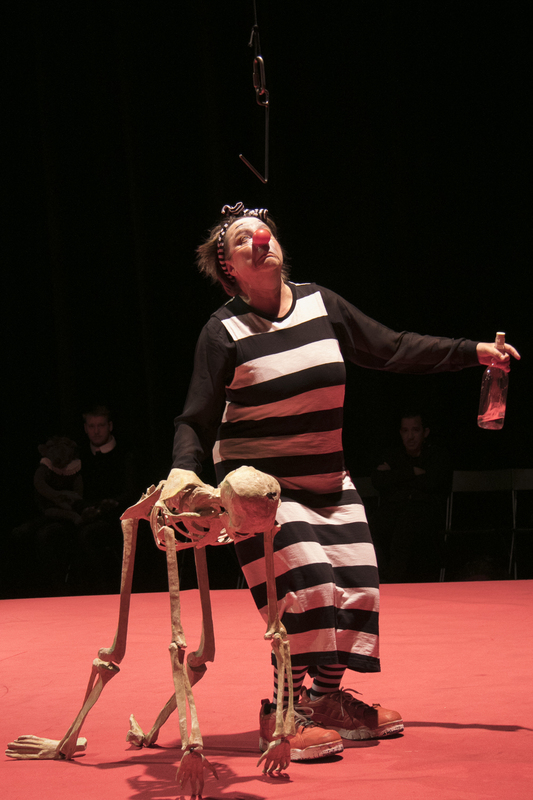 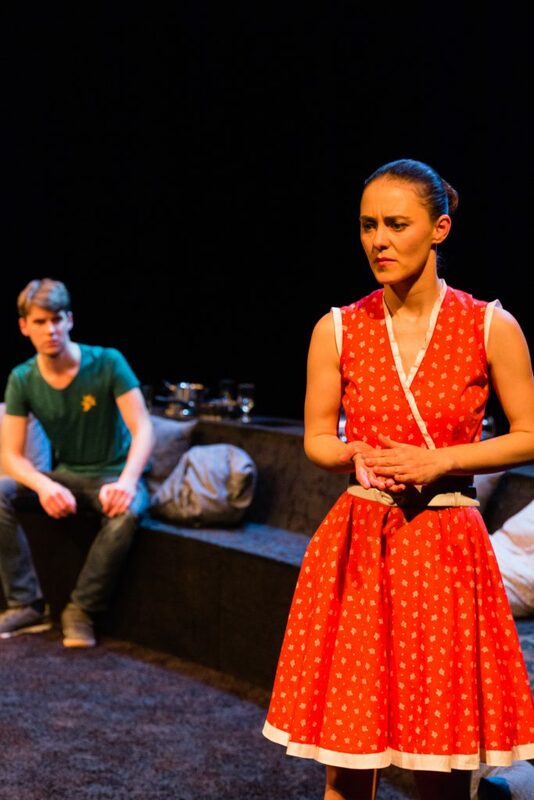 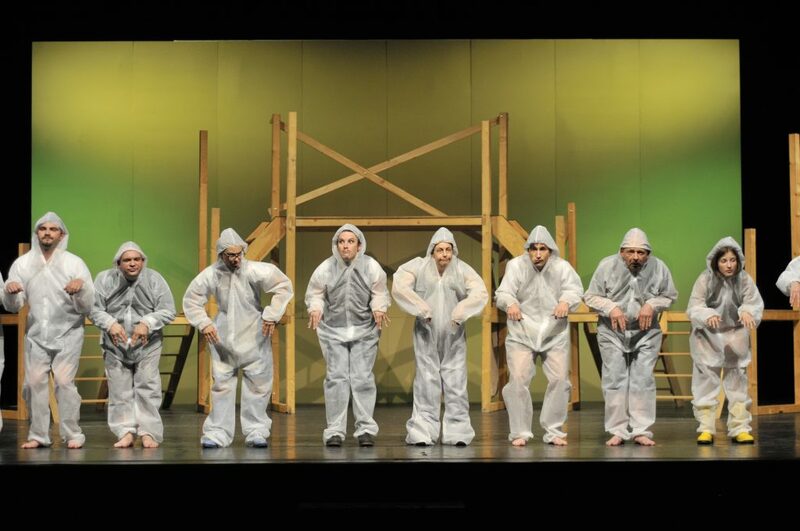 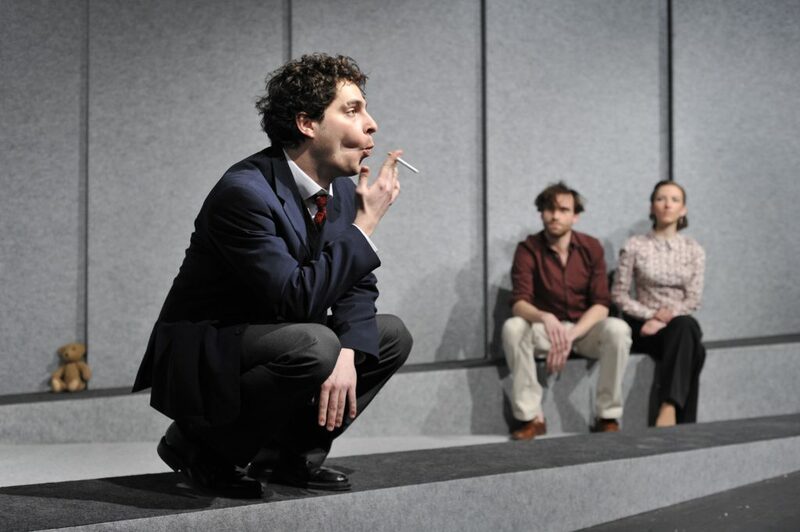 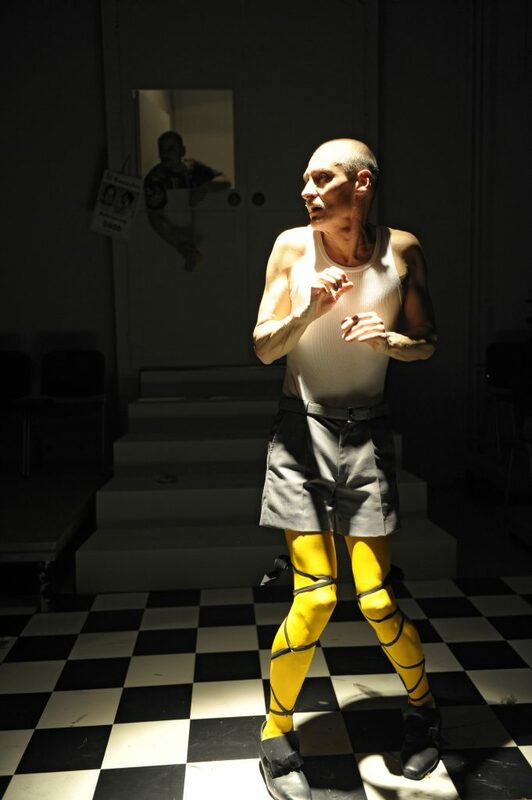 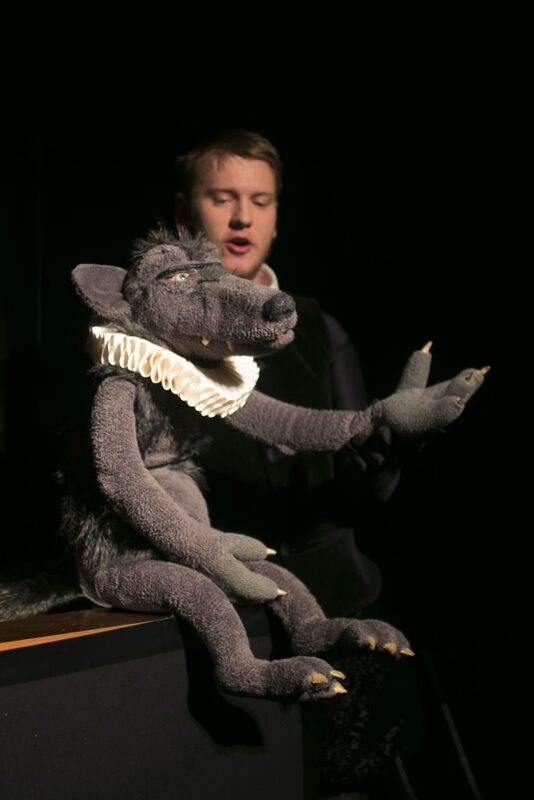 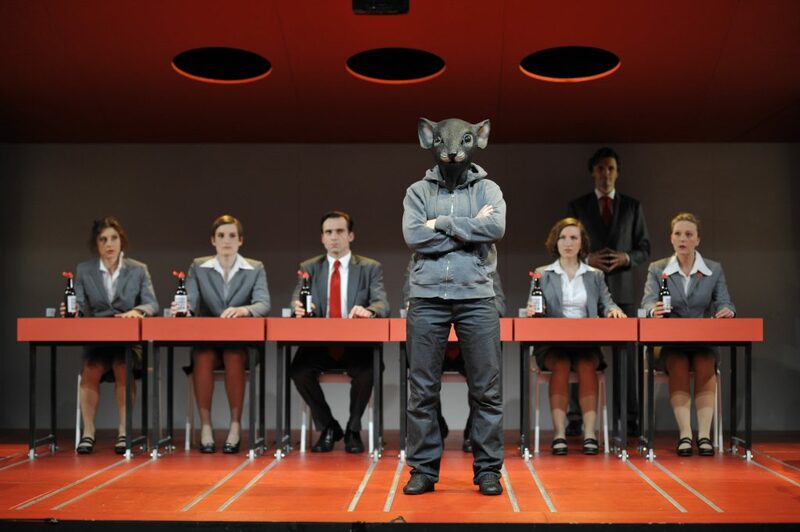 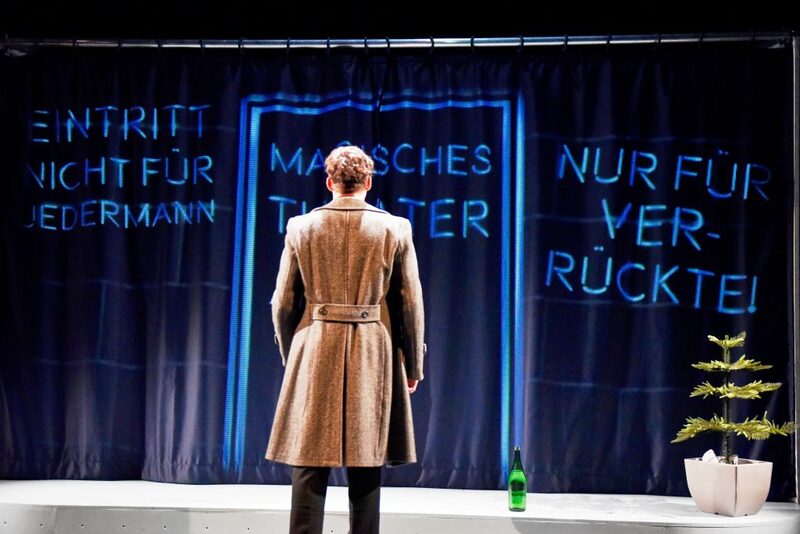 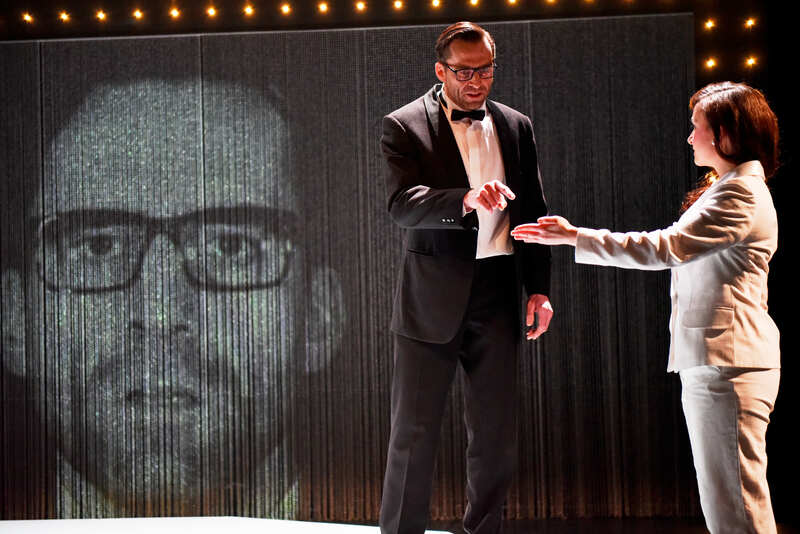 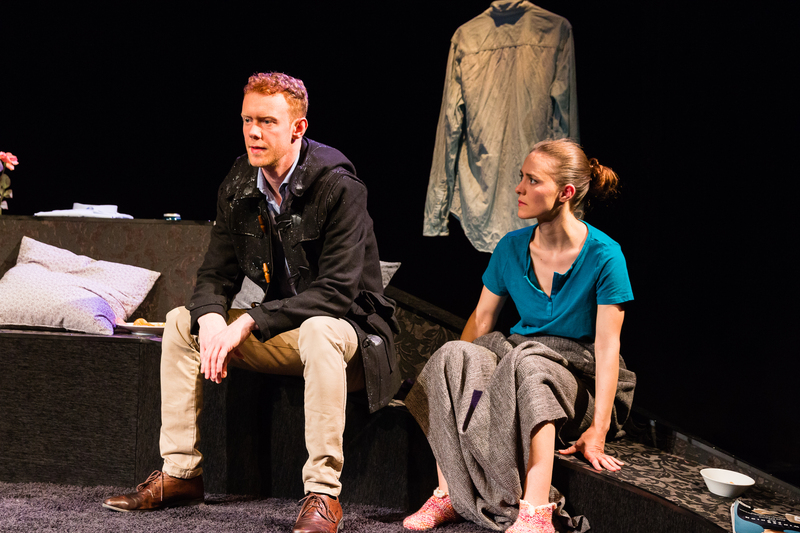 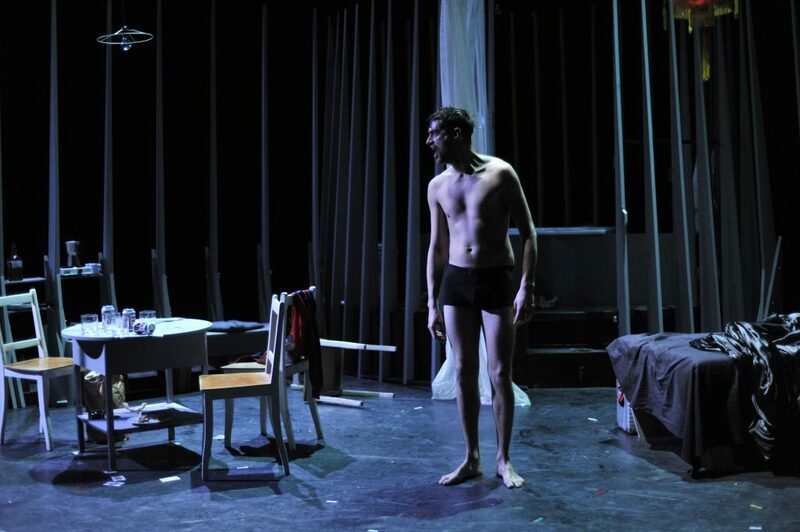 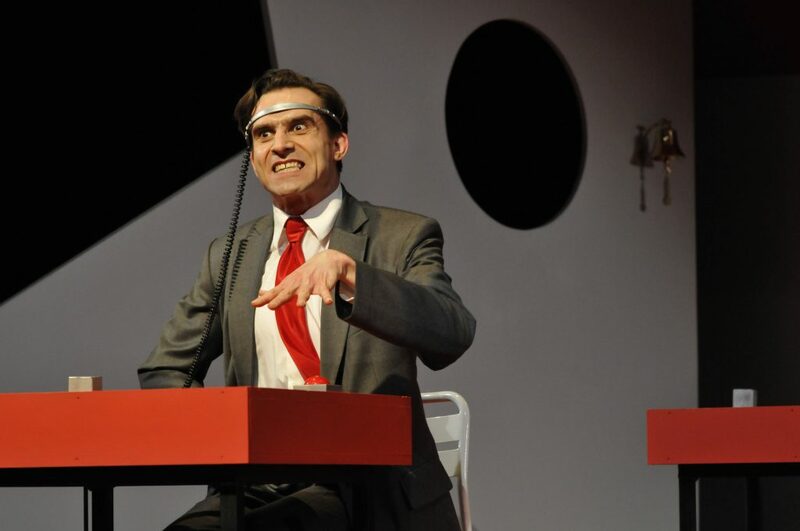 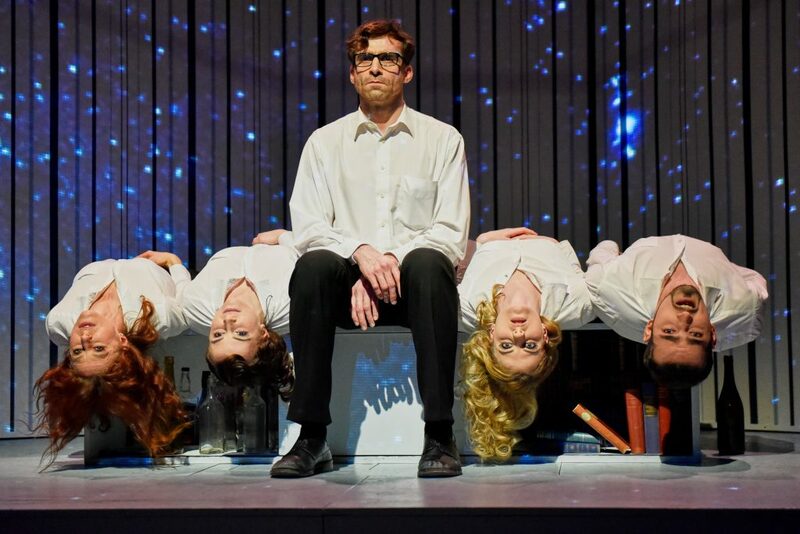 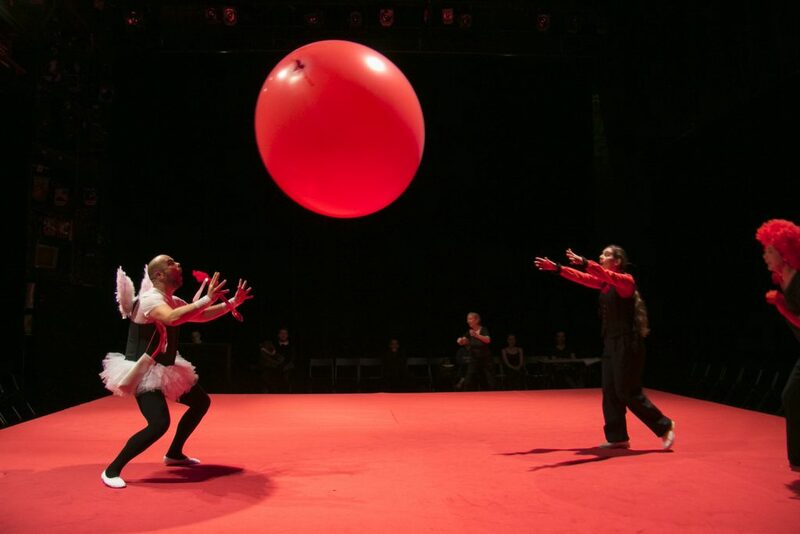 The Südkurier states: „Attention roused, concentration challenged; audience compelled to think for itself.” And in the Badische Neueste Nachrichten the critic sums up that his production „forces one to ponder about the nature of justice”. 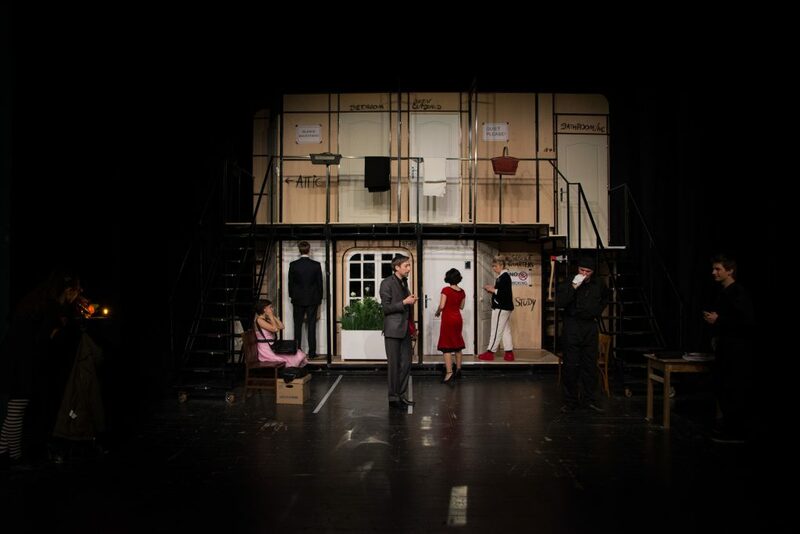 The Leipziger Volkszeitung quotes the jury on their statement of grounds: “Aesthetically this was the most consistend production”.